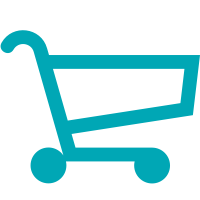 Below you will find all the entries to this, the inaugural, 2016 competition. 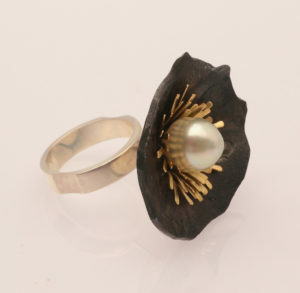 An inspired and beautiful collection of wearable pearl jewellery pieces from jewellers across Australia awaits below. We hope you enjoy viewing them as much as we have. 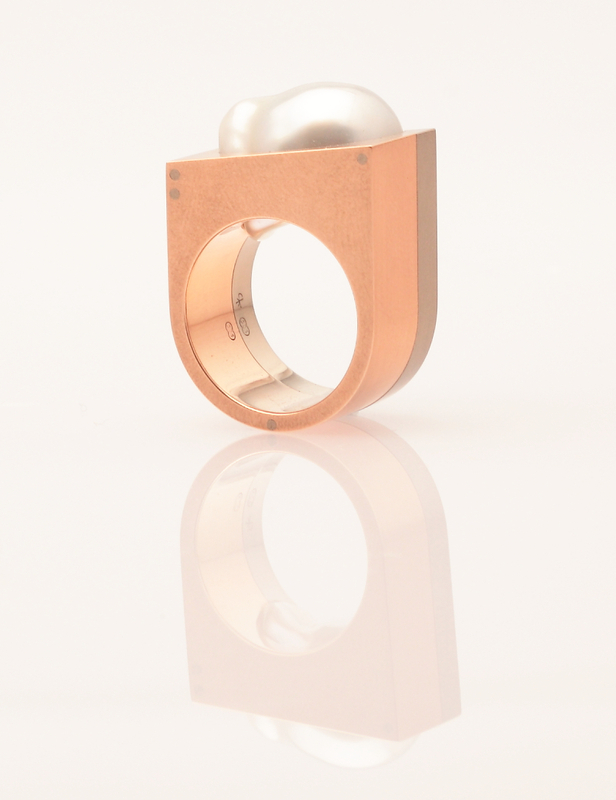 This will be an annual competition and we invite all jewellers to register their interest via email in next years competition and invite the public to stay in touch to see what beautiful and creative pieces jewellers from across Australia create in 2017. 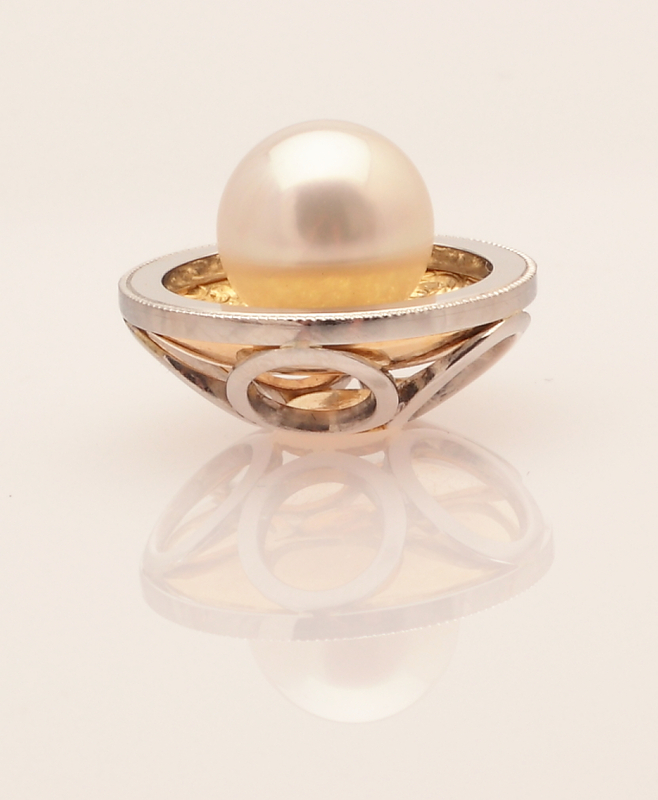 We are look at creating a few different categories for next year and also opening up the competition to overseas jewellers. The curves on the ring represent ocean waves, the antiqued silver dots represent grains of sand and I call the band “Spun Bamboo”. 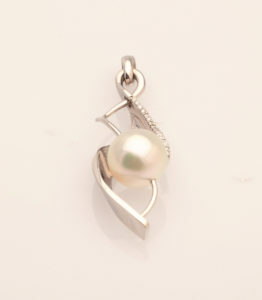 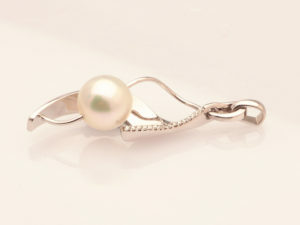 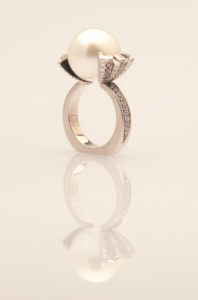 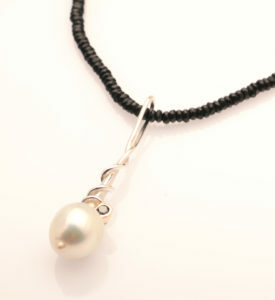 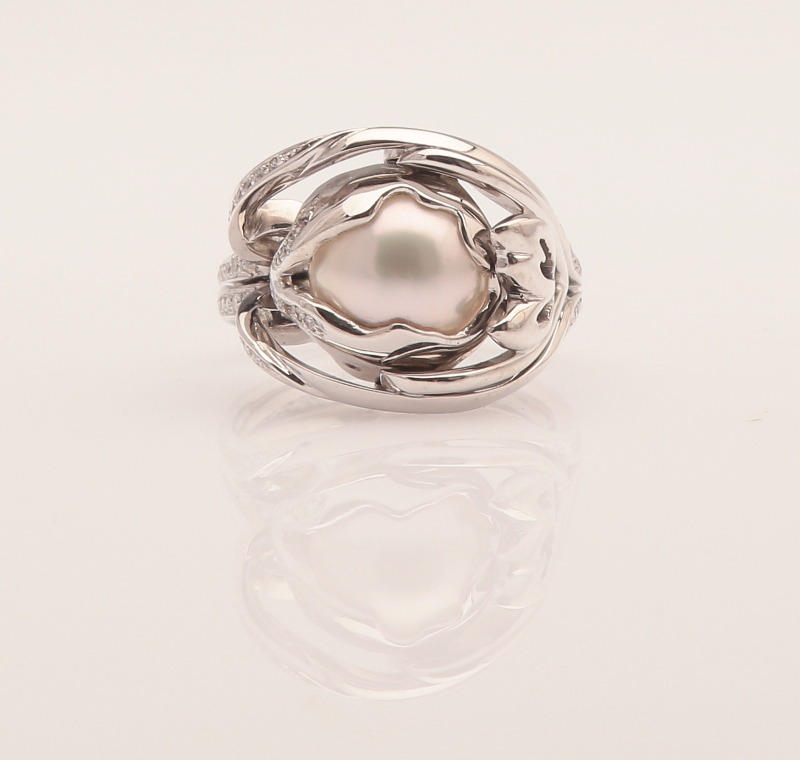 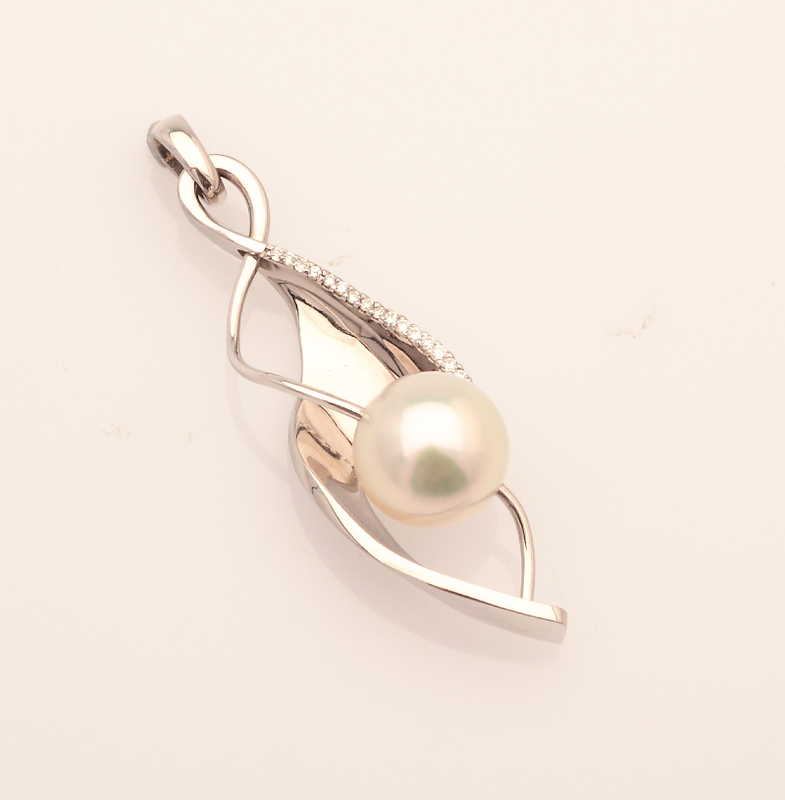 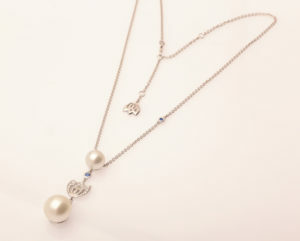 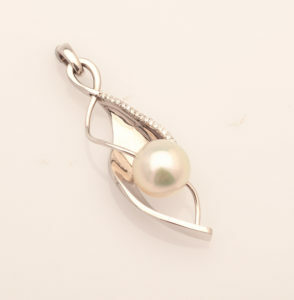 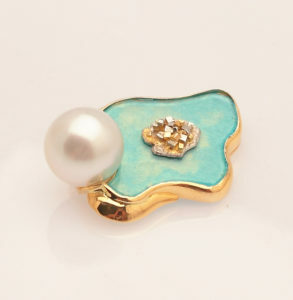 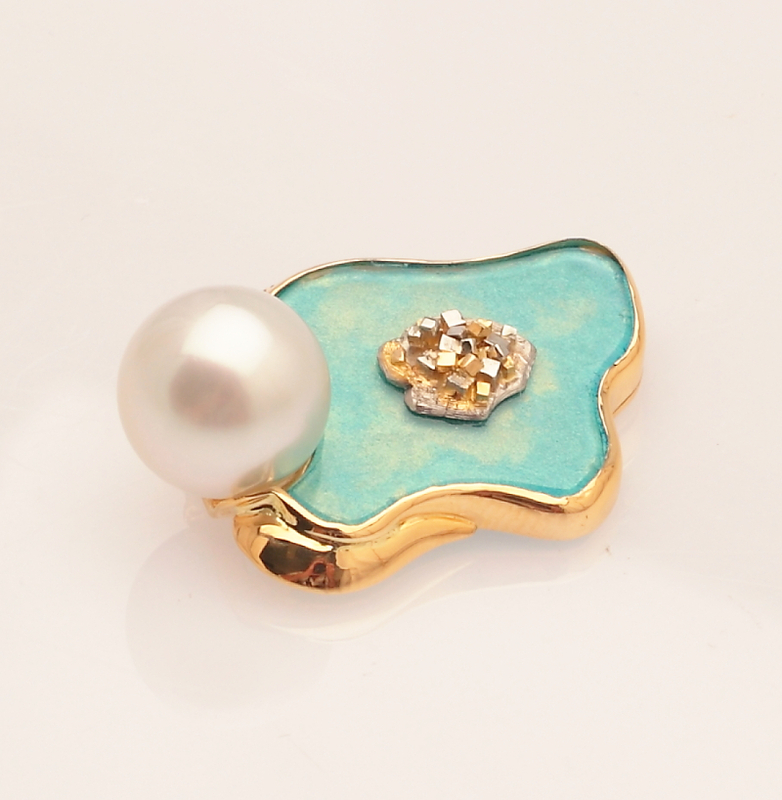 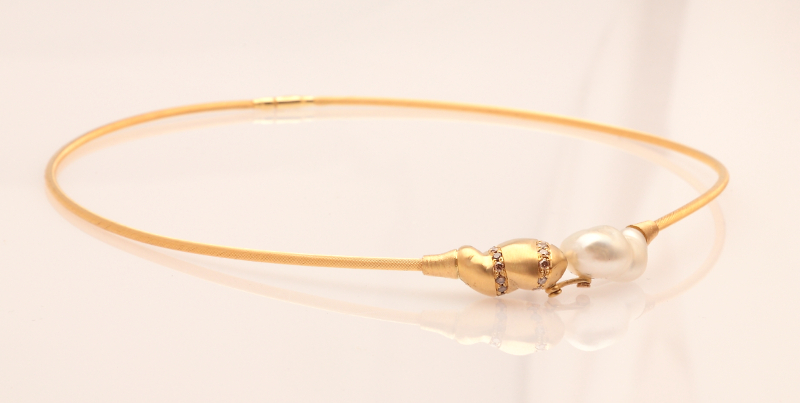 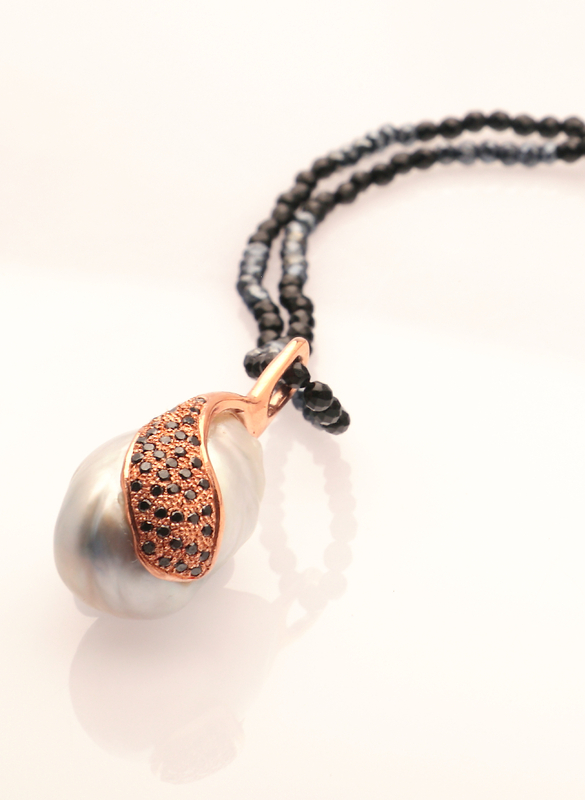 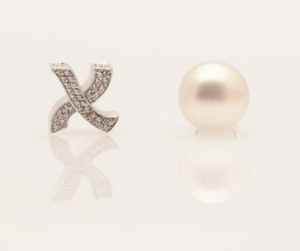 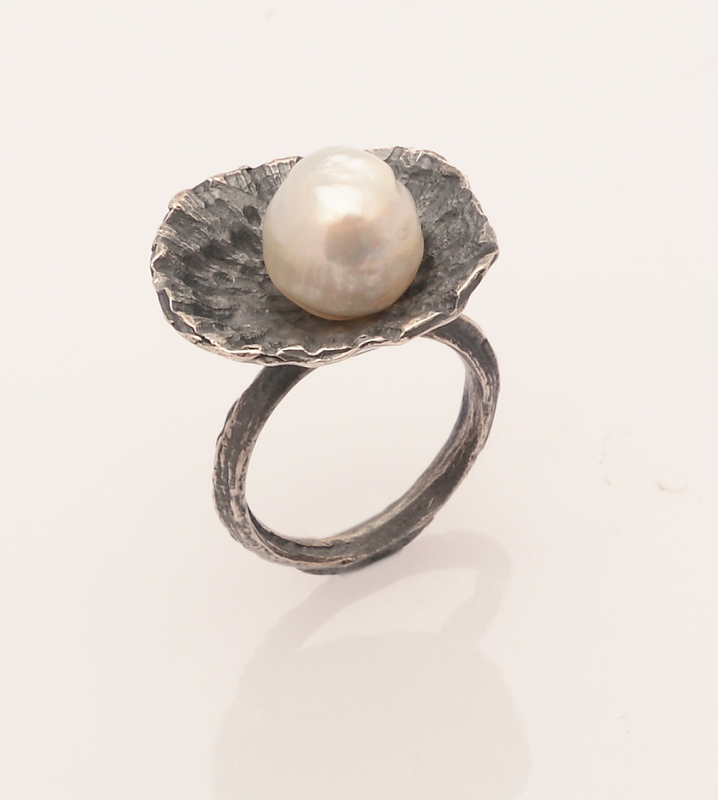 A captured pearl in its purest form, inspired by fish and aquatic life. 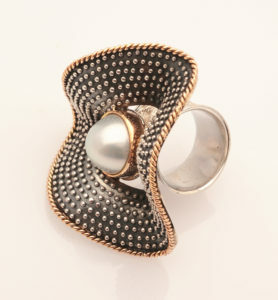 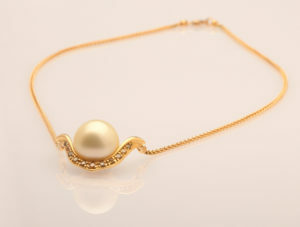 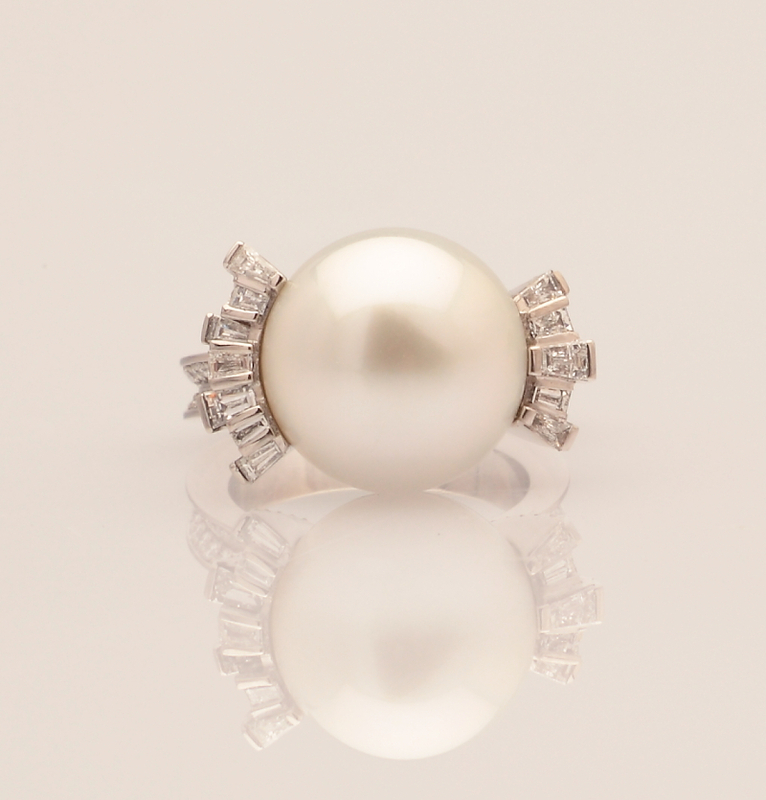 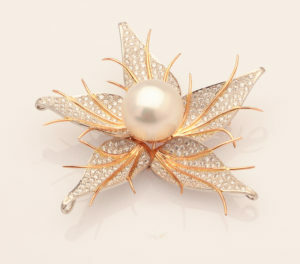 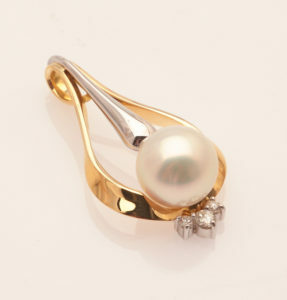 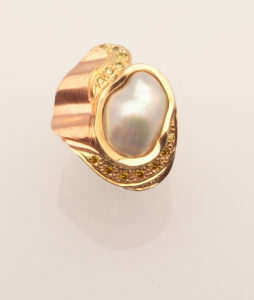 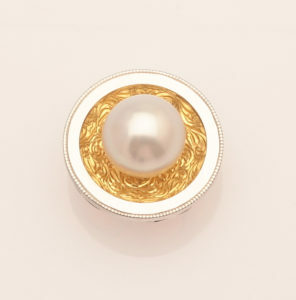 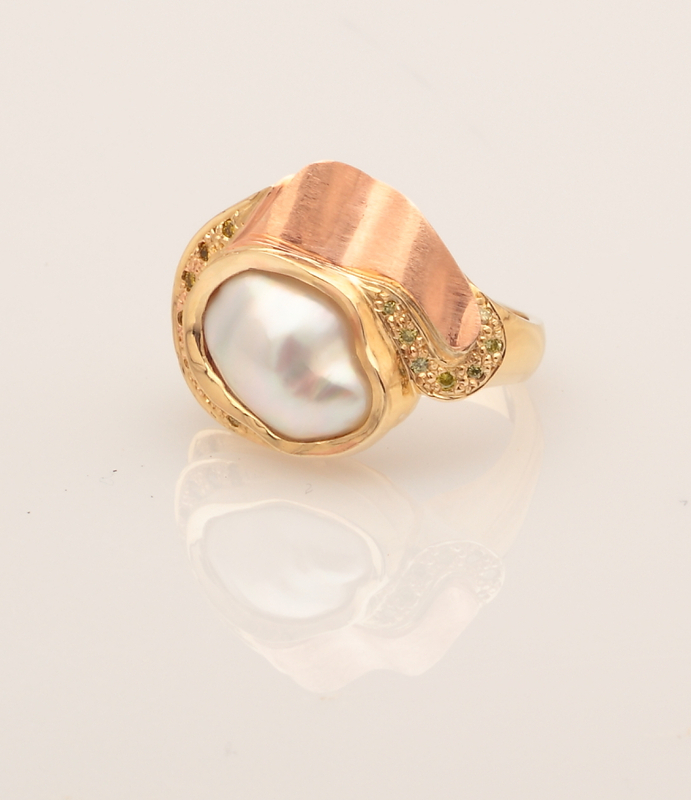 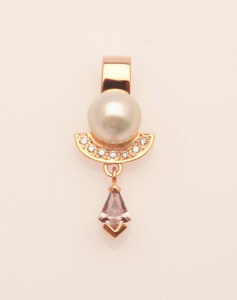 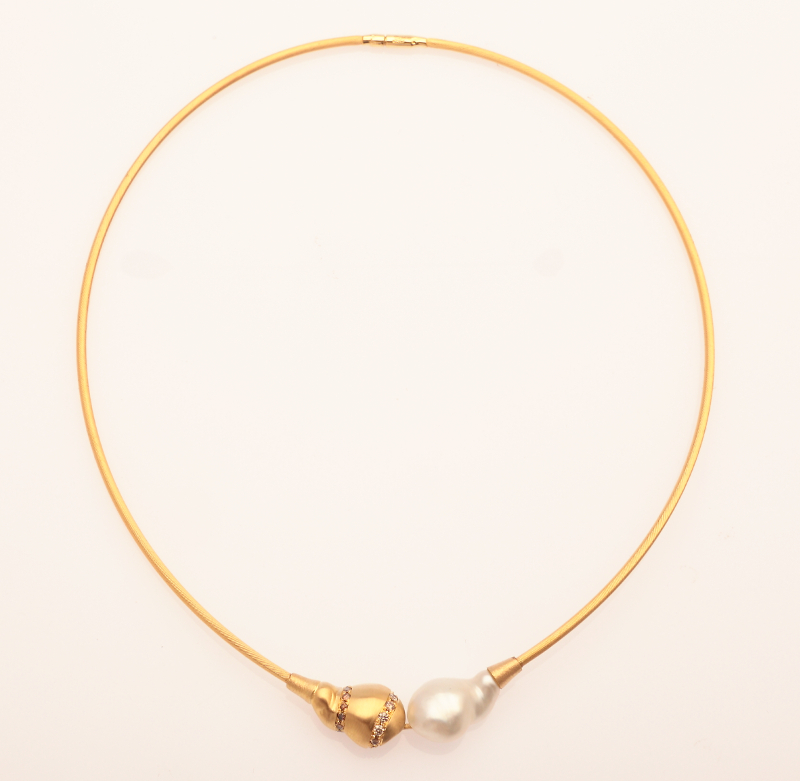 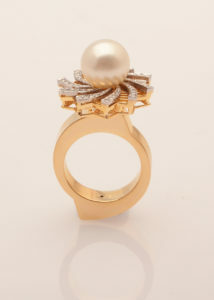 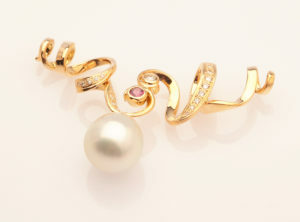 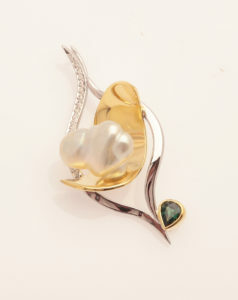 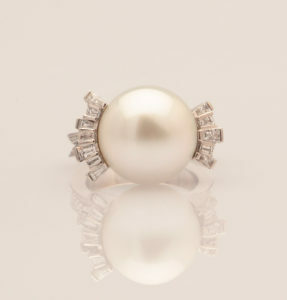 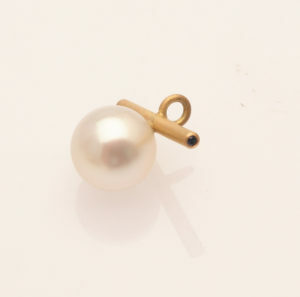 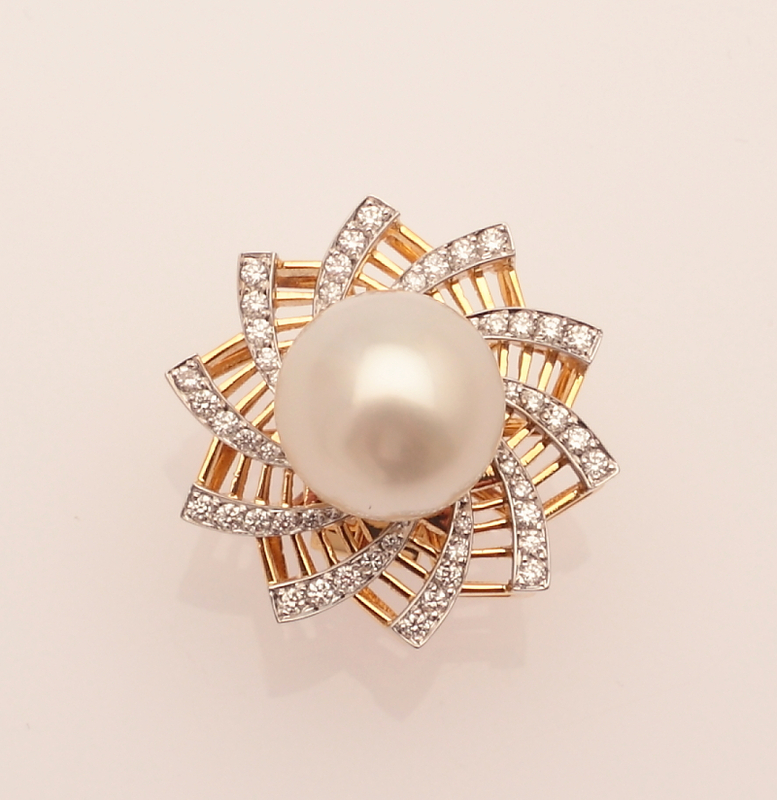 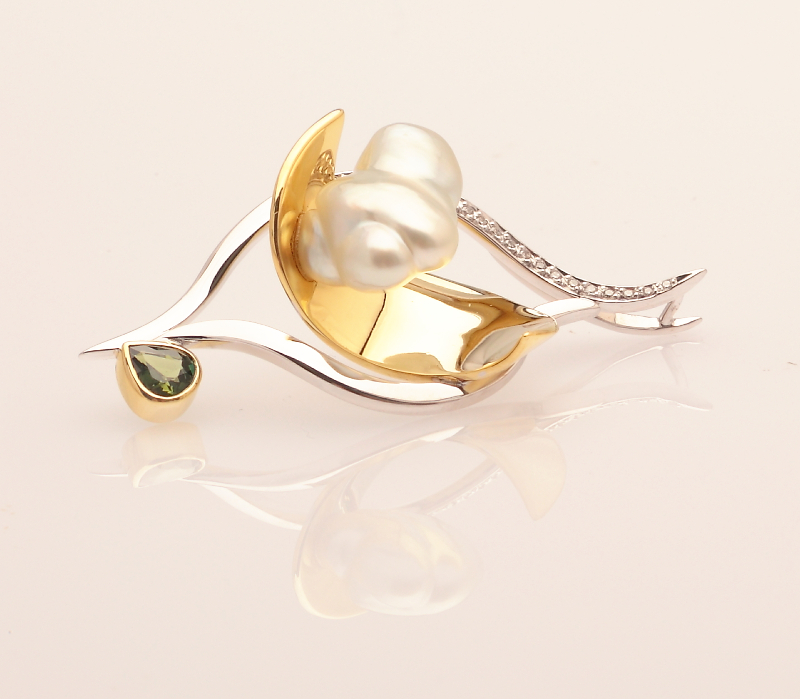 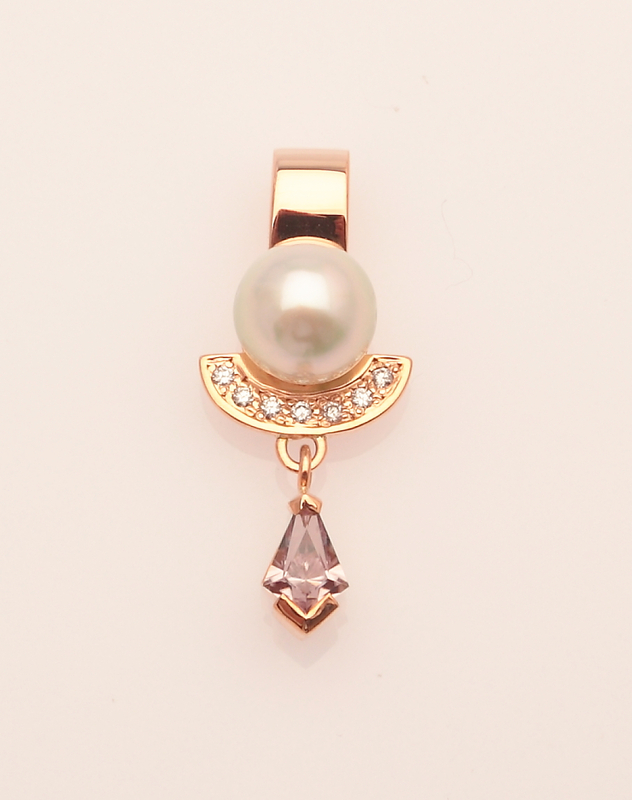 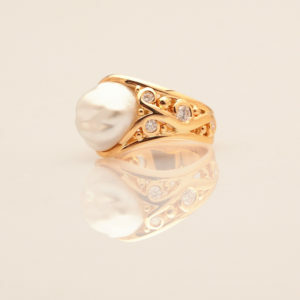 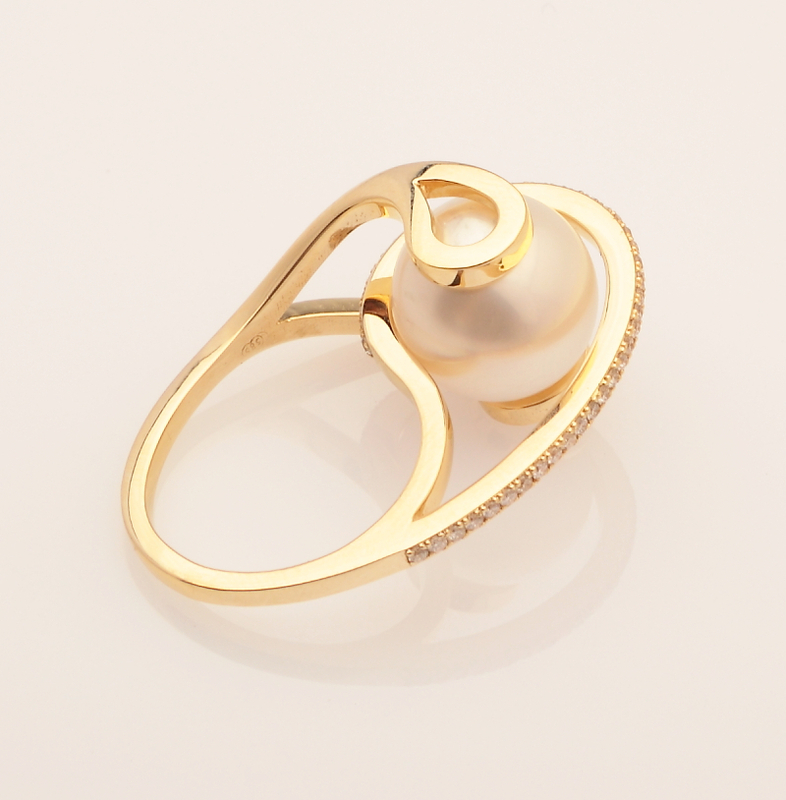 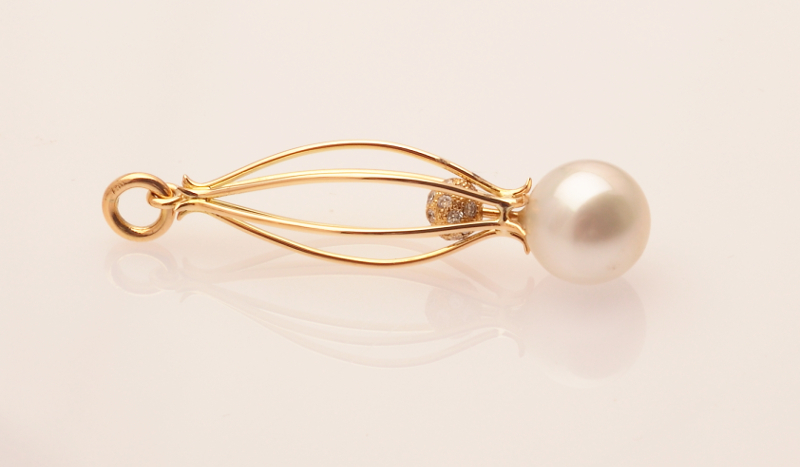 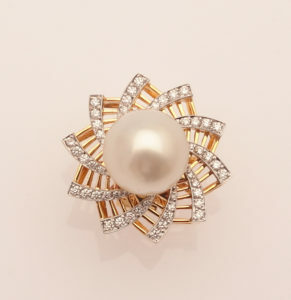 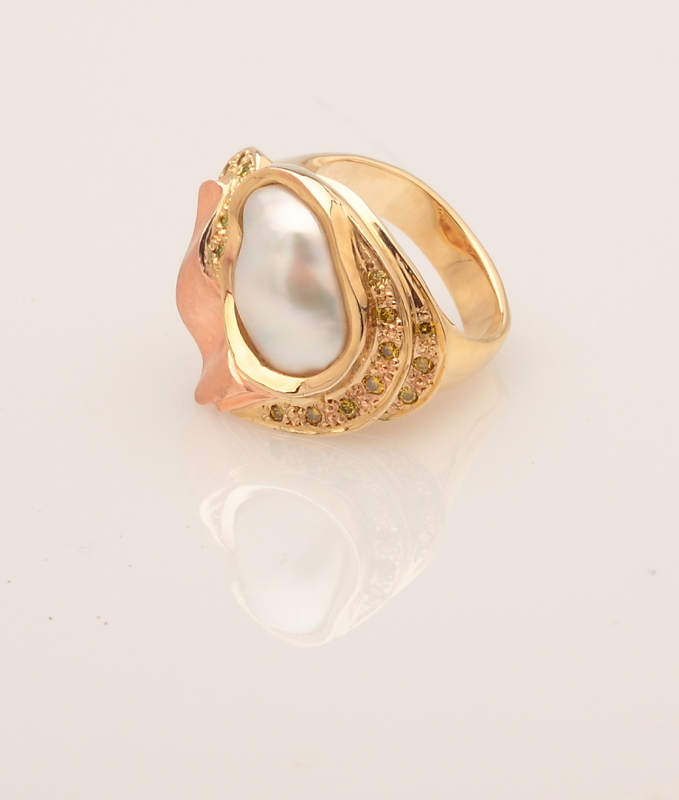 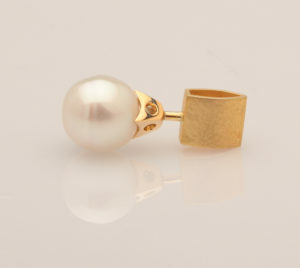 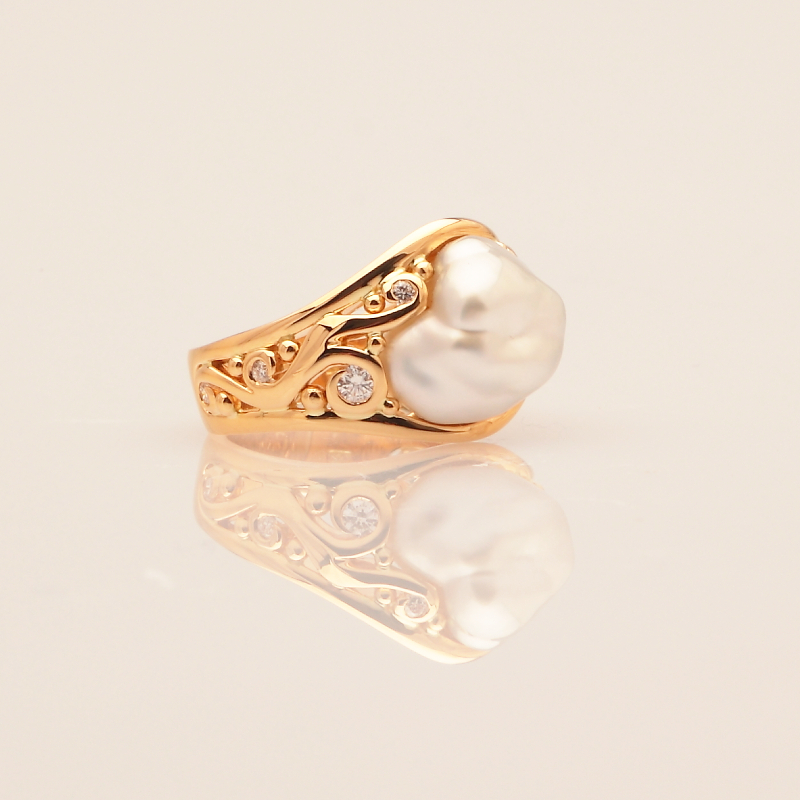 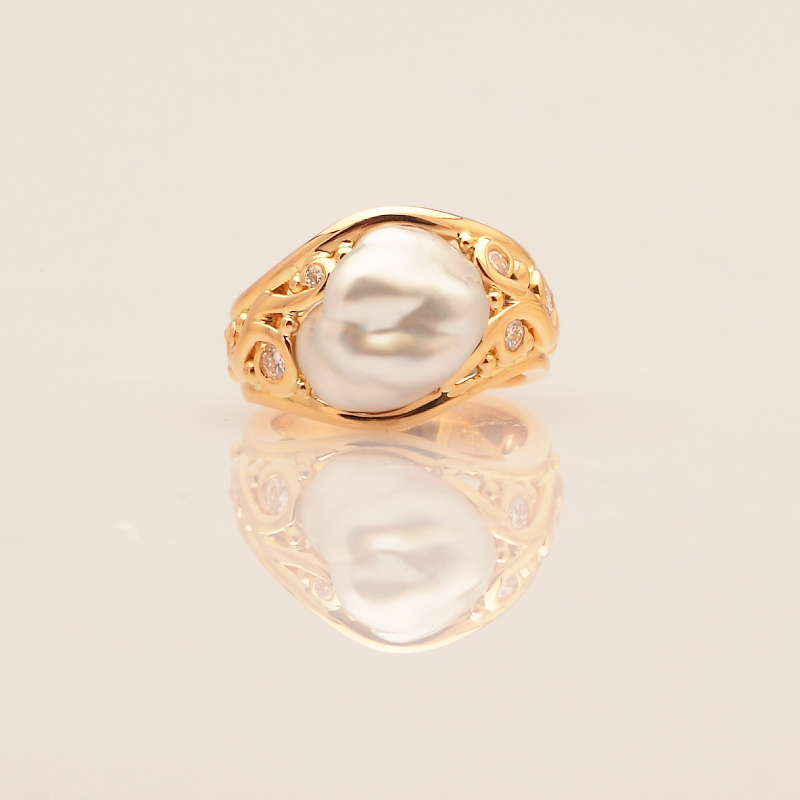 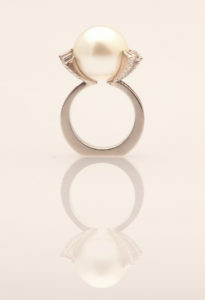 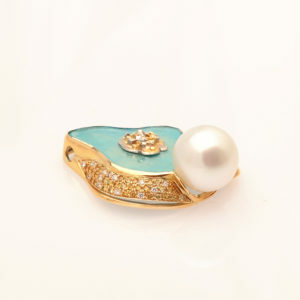 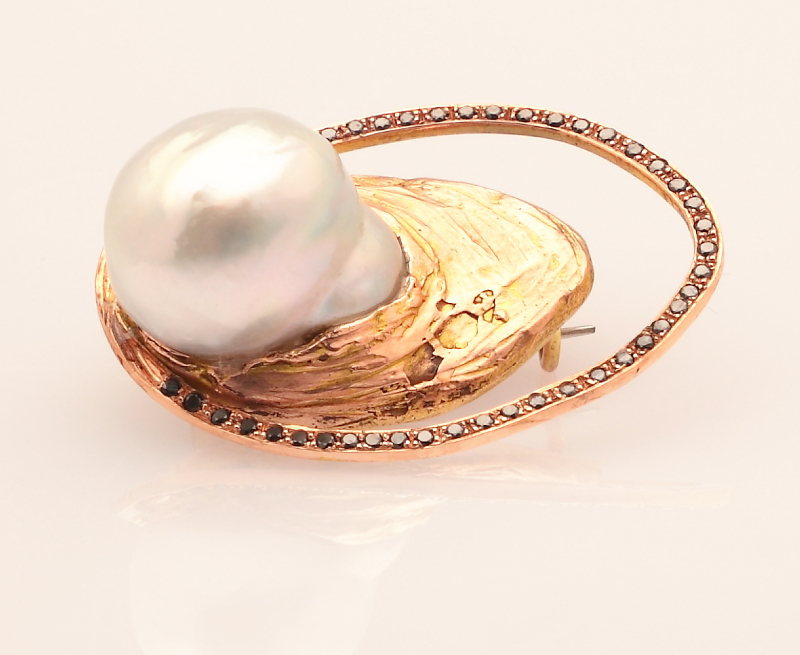 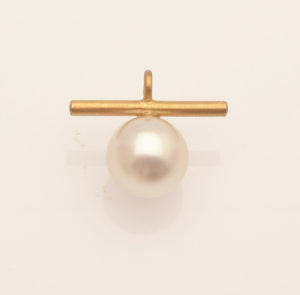 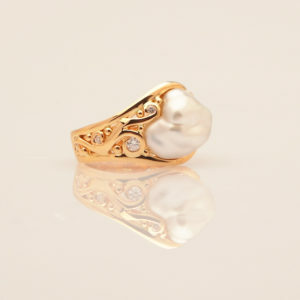 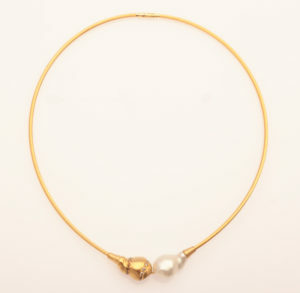 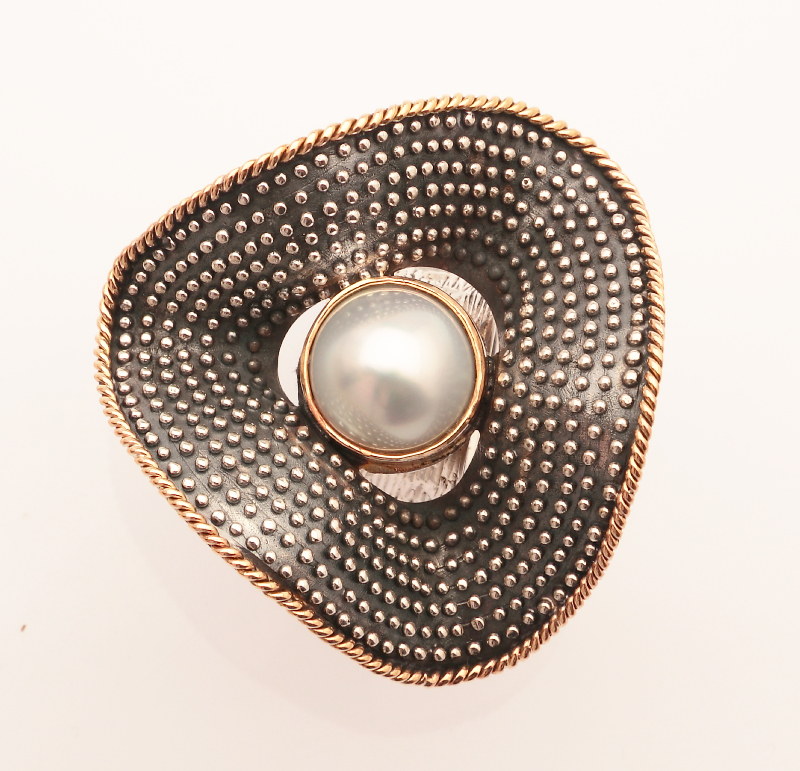 14ct Yellow Gold, Diamonds (0.43 TW) Featuring a Cygnet Bay Pearl. The galaxies and universe – is expansive and still unleashing it’s mystery and potential to those of us who look to admire and explore its beauty further. 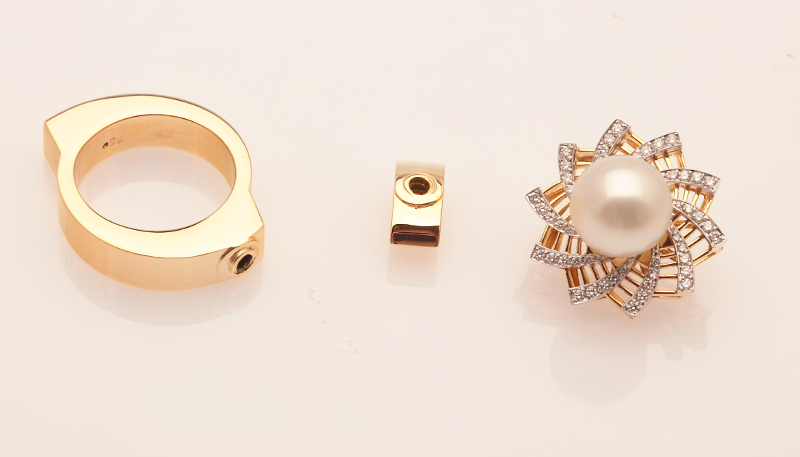 Jewellery should be the same. 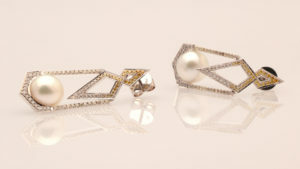 Named after the famous Flapper dancer Zelda Fitzgerald from the 1920s. 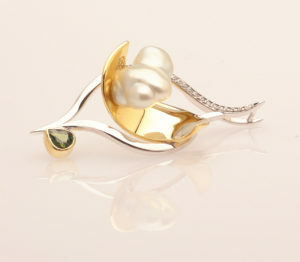 She portrayed strength and femininity. 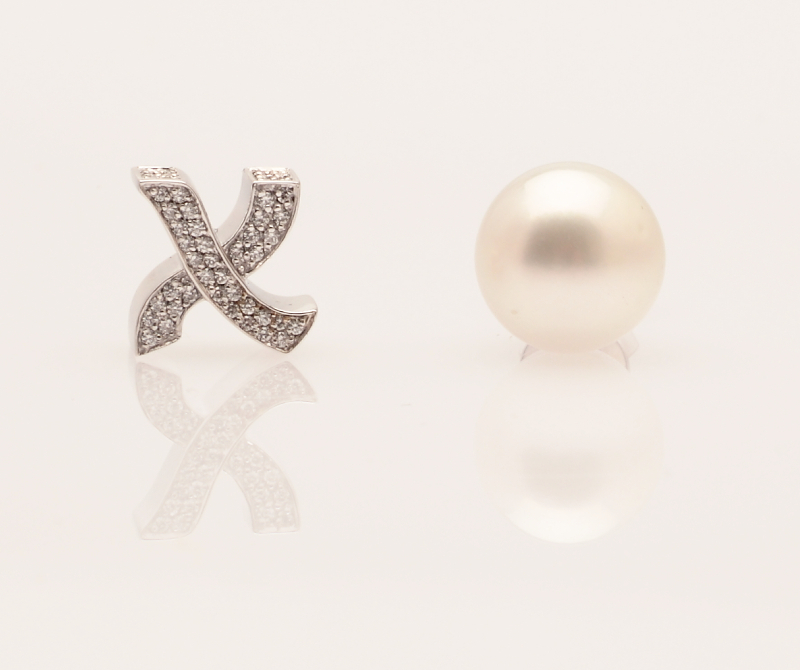 18ct White Gold, Champagne Diamonds (0.25ct TW), White Diamonds (F/G/VS, 0.60ct TW), tapered Baguettes (0.40ct TW) Featuring a Cygnet Bay Pearl. Hot summer nights, sea breezes and tranquil waters. 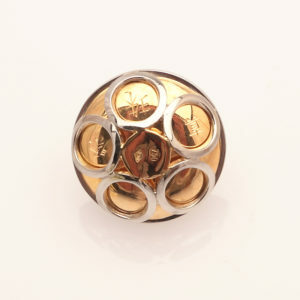 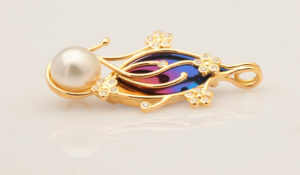 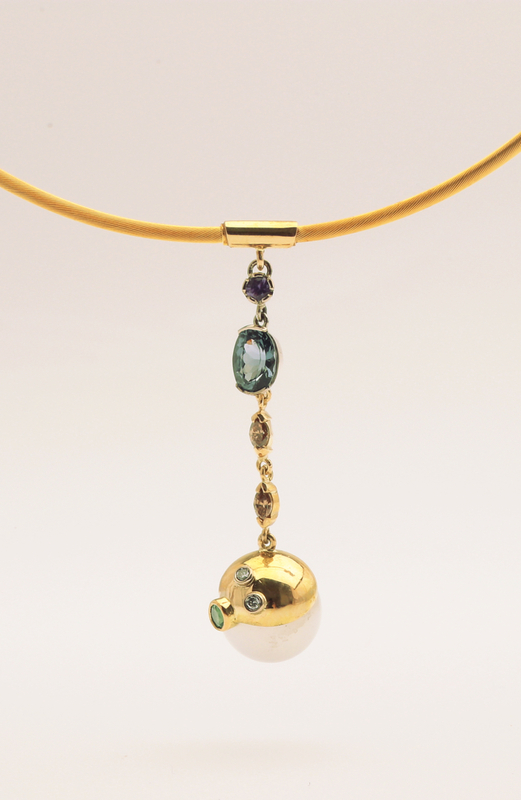 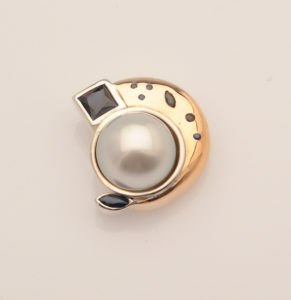 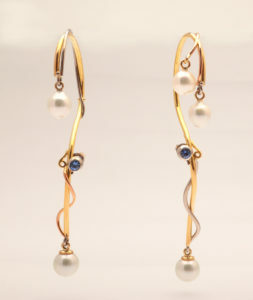 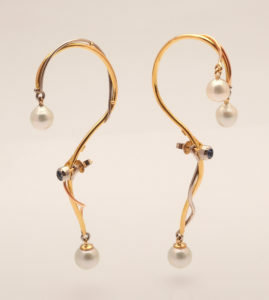 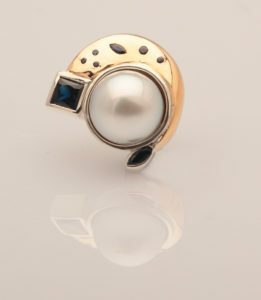 9ct Yellow Gold, Stirling Silver, Queensland Sapphires Featuring a Cygnet Bay Pearl. 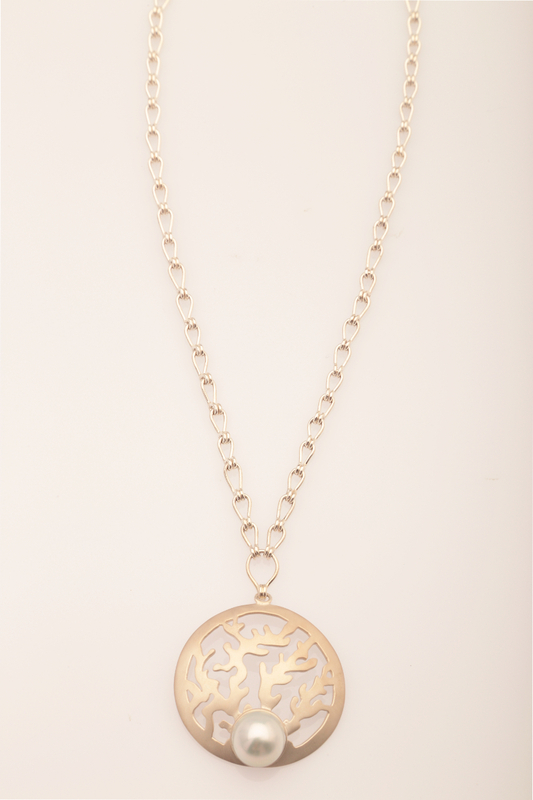 Inspired by a love of nature’s beauty and abundance. 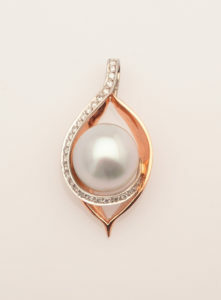 The pearl epitomises this sentiment with its awe and wonder. 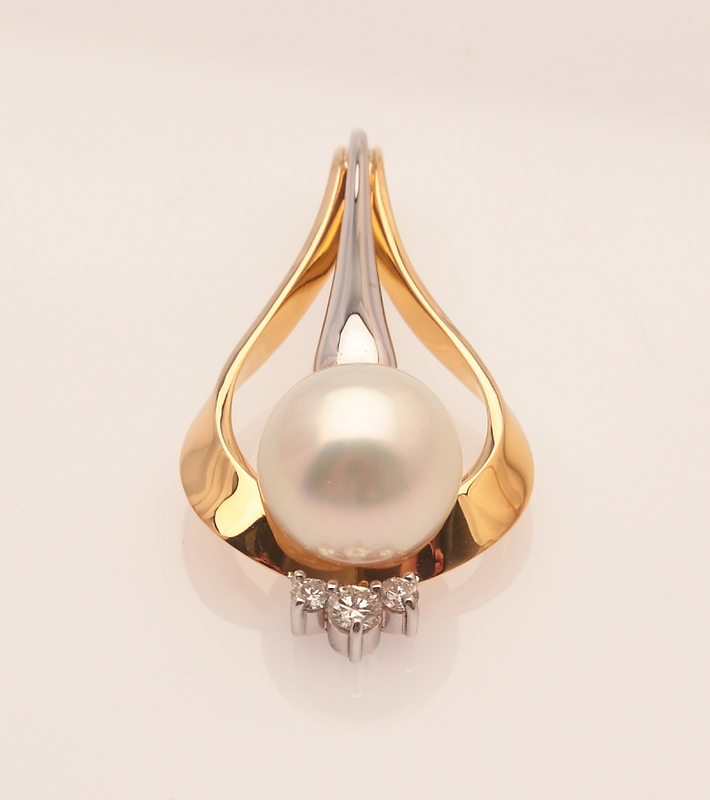 The pearl is the seed or source of inspiration, an idea, an inception. 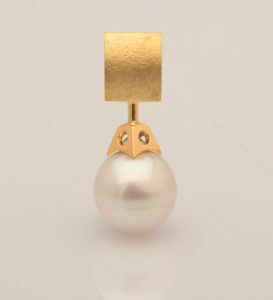 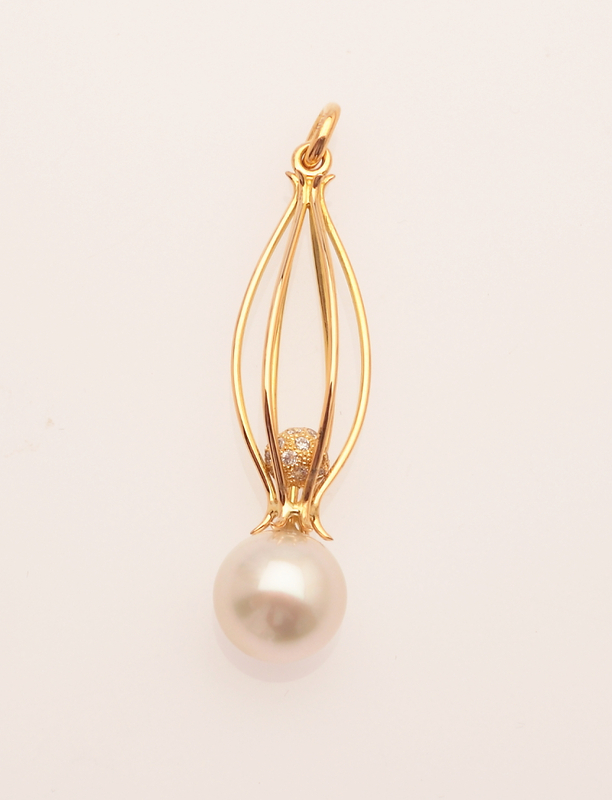 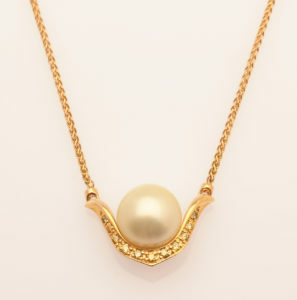 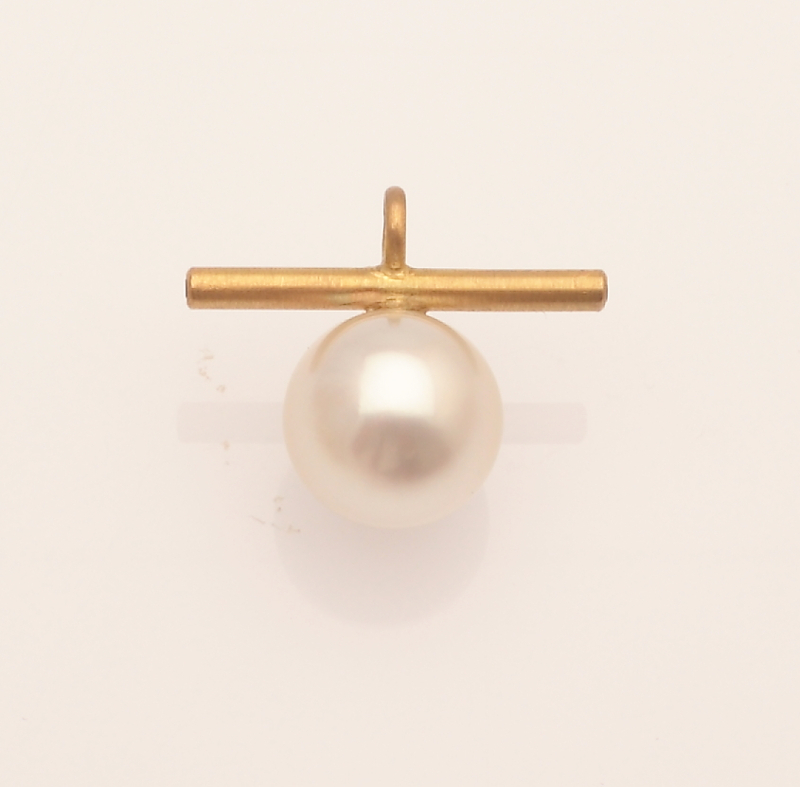 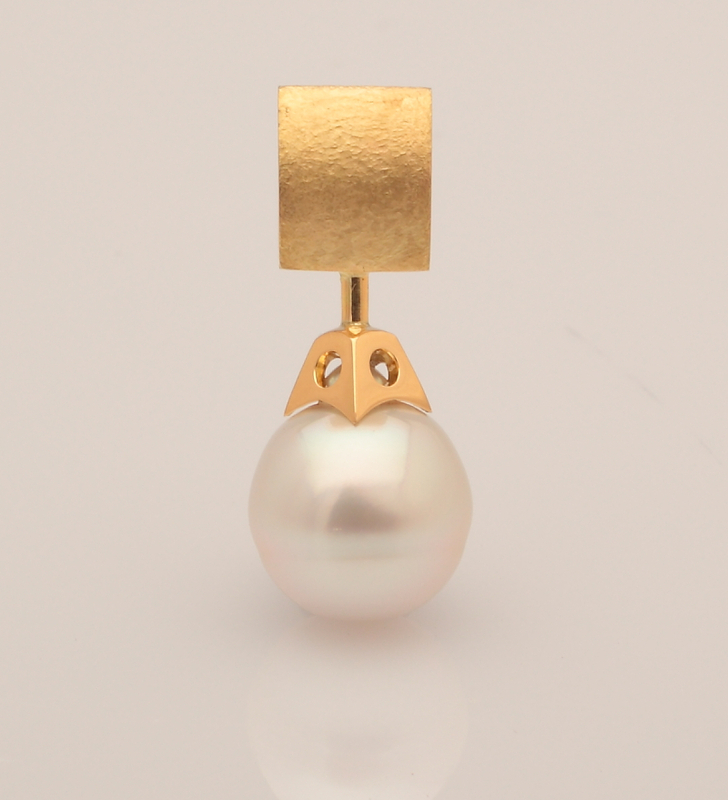 The pendant is inspired by an opening oyster reveling the pearl, its golden edges glistening with eleven fancy yellow diamonds, as it is gently raised to the Bay. 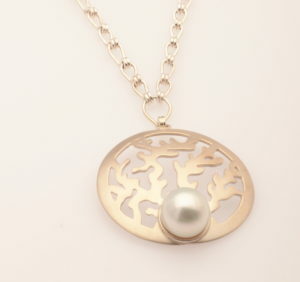 The ocean and its many life forms have always inspired me. 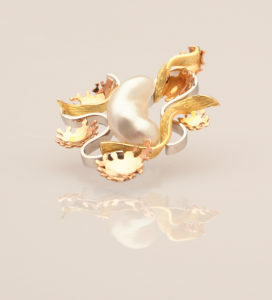 Corals, shells and pearls especially. 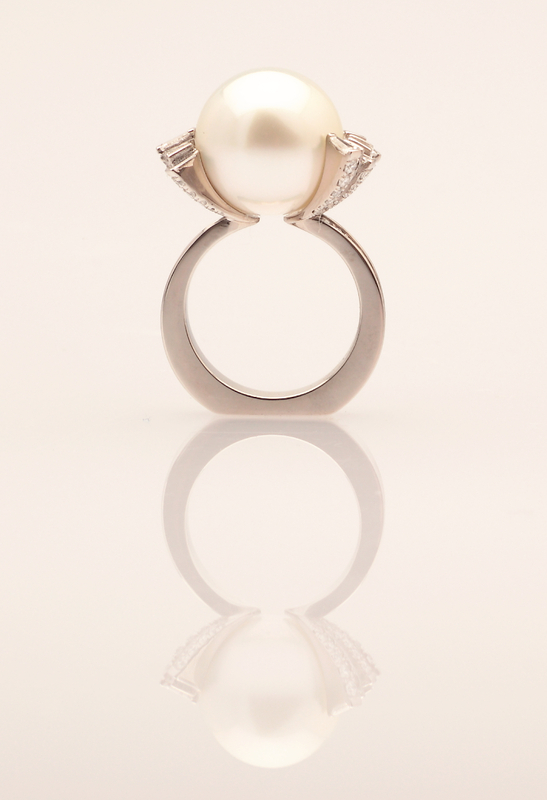 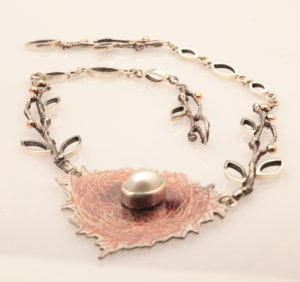 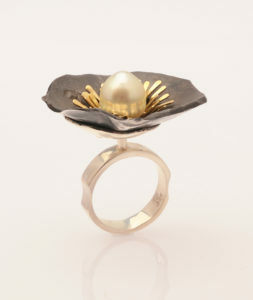 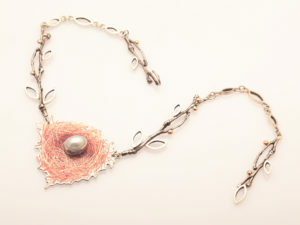 This design evolved as I put pencil to paper, the South Sea Pearl being my centrepiece. 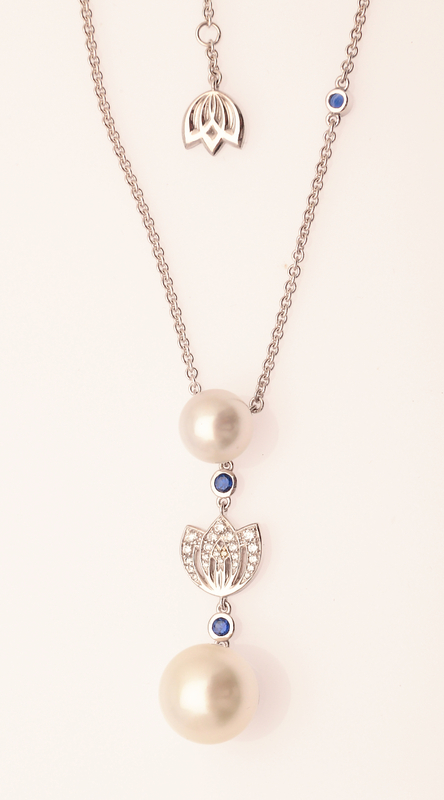 Blue and colourless diamonds evoke images of sparkling waters, endless days and mermaid legend. 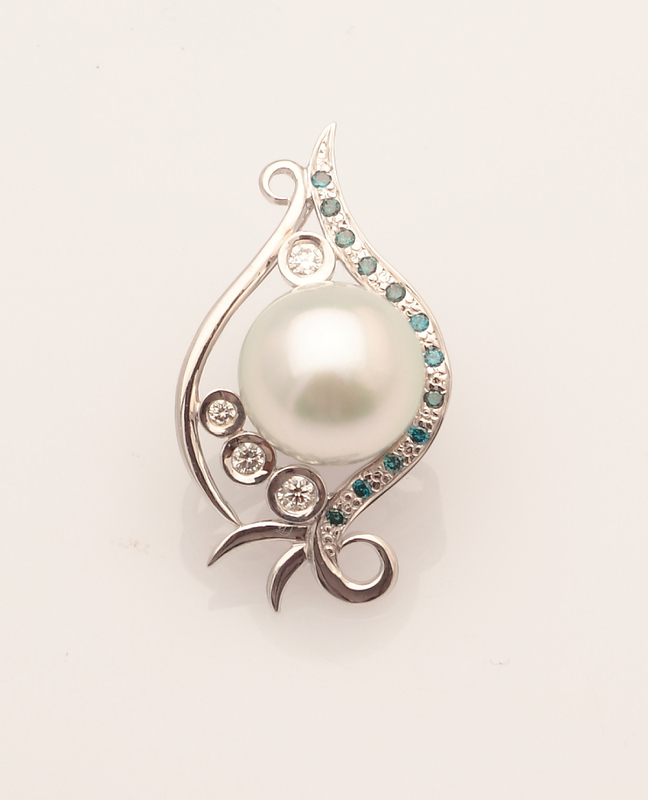 9ct White Gold, 12 x treated blue Diamonds (0.015ct), colourless Diamonds (2 x 0.08ct, 1 x 0.06ct, 1 x 0.04ct, 2 x 0.02ct, G/SI) Featuring a Cygnet Bay Pearl. 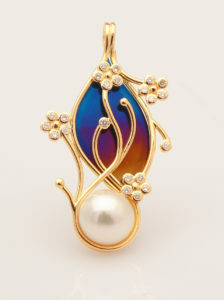 My first visit to the Kimberley coast. 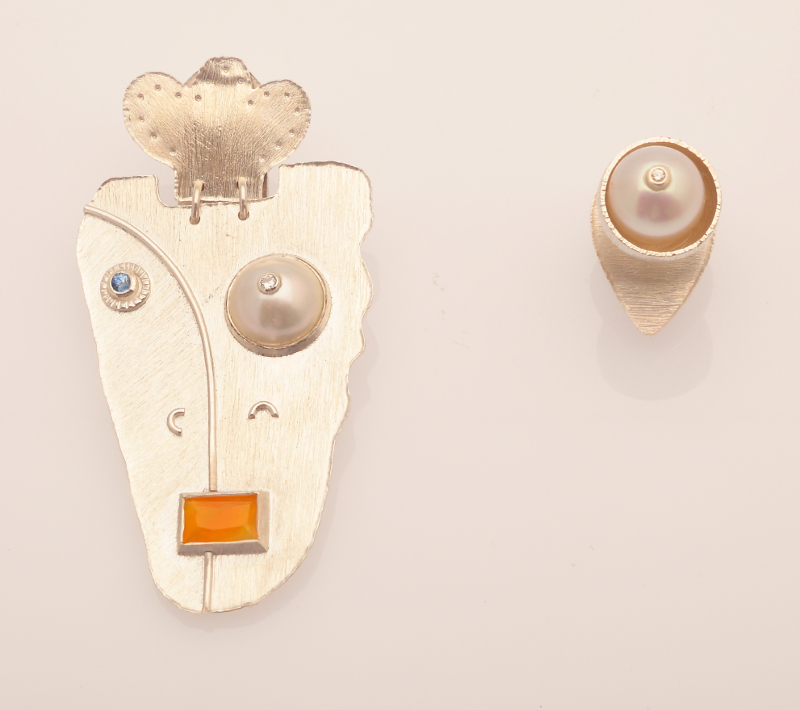 Boabs, red earth, the vastness of the landscape. Elemental forces and the cycles forming people and place. Inspired by the shape of the pearl, with the look of balance and buoyancy leading the jeweler to the idea of a raft bouncing on the sea. 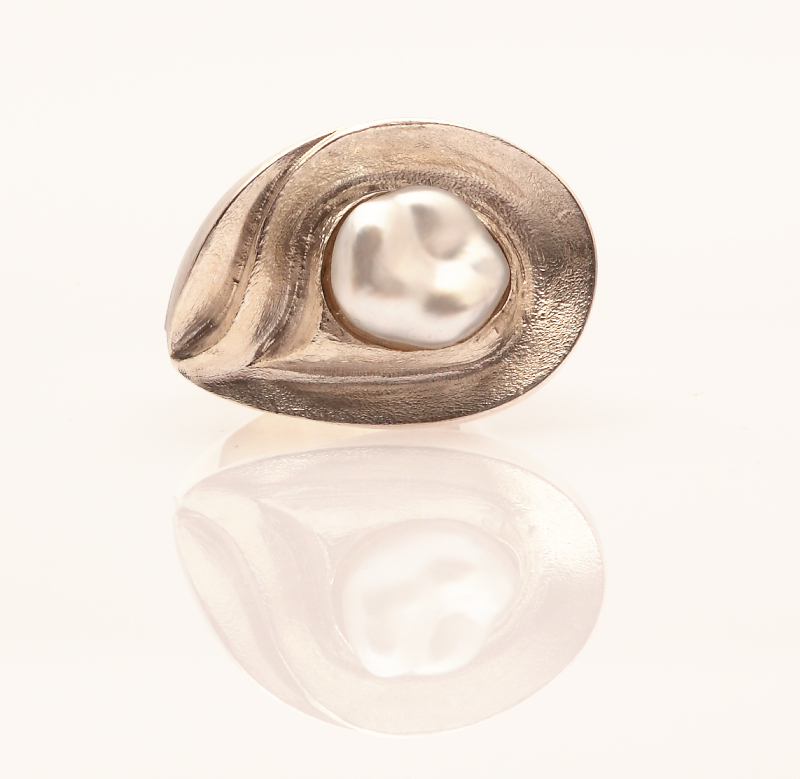 The base shaped to match the waves surrounding the raft, strength in the high polished pole leading to shaped textured sail, billowing from the wind driving the raft forward to freedom. 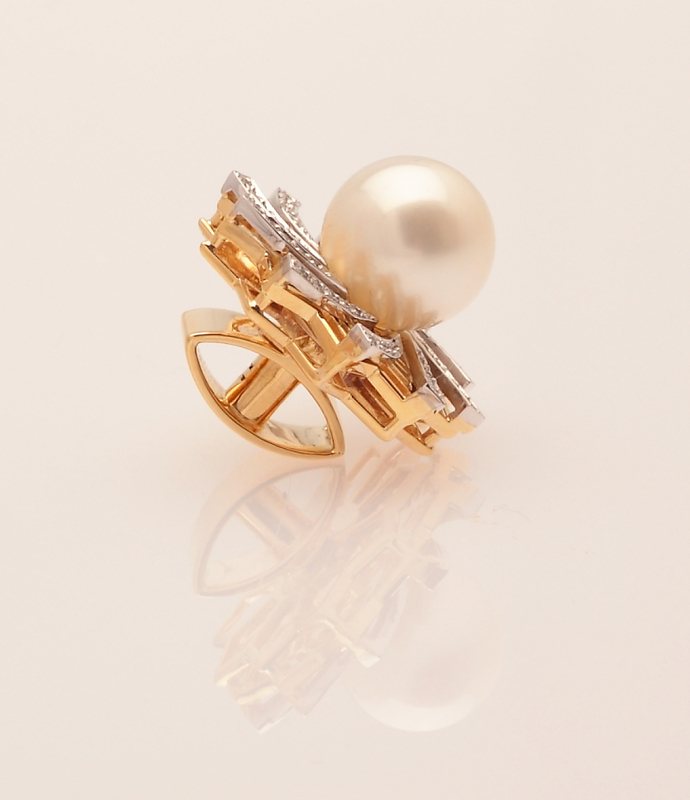 The magnificent sweeping landscapes, vistas and colouring of West Australia’s North, are captured in this luxurious piece of jewellery. 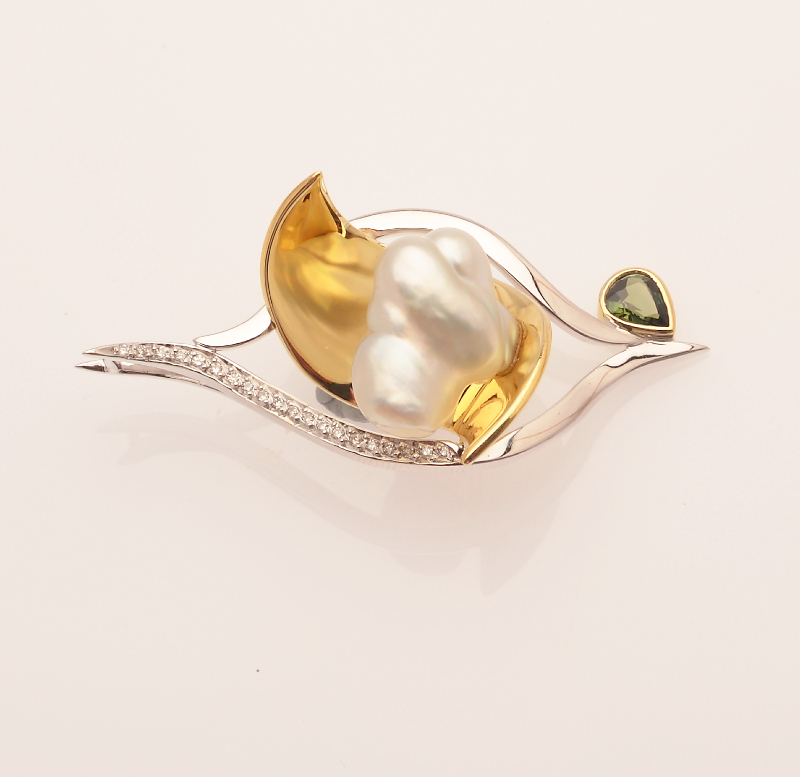 The yellow and rose gold ring perfectly showcases a wonderful Cygnet Bay Keshi Pearl, enhanced with natural green and yellow diamonds. Ocean, beaches, flora, sweeping landscapes and the outback, forever beautiful, eternally encapsulated. 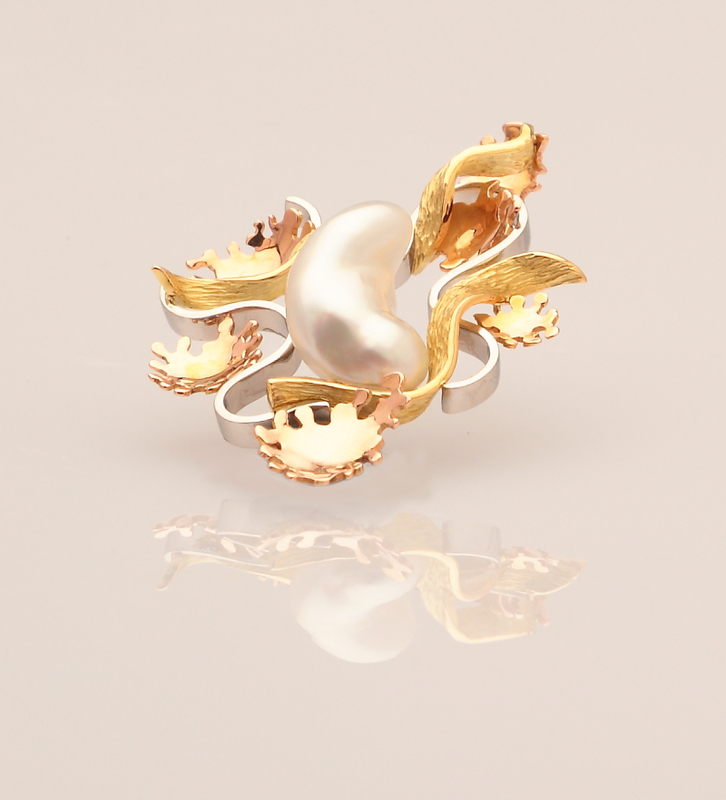 Inspired by the cone shell found in the Kimberley waters, often found in the skeleton form washed up on the Kimberley shores. 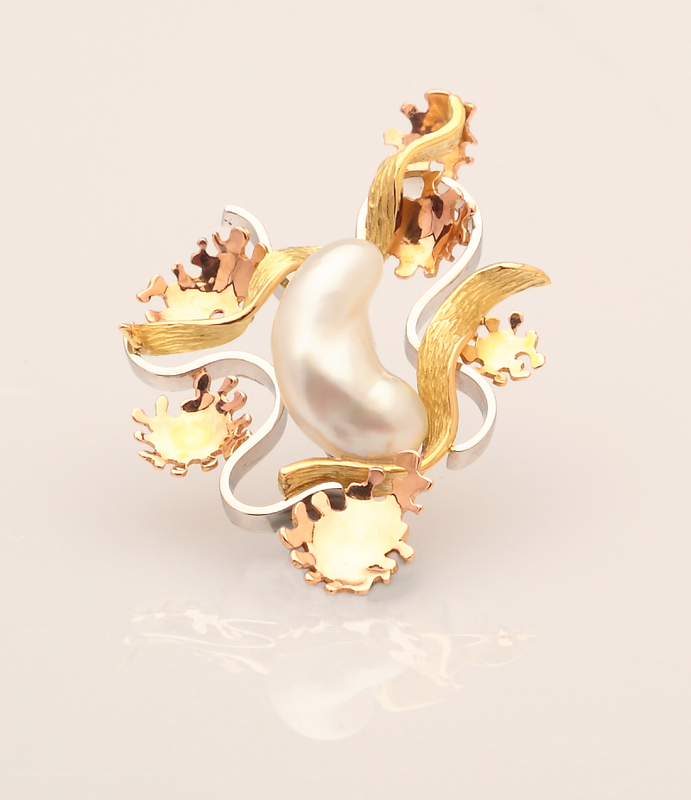 I wanted to give the keshi a new life in a replicated landscape of the beautiful red cliffed coastline of Broome, the gold and diamonds representing the land and the keshi representing the sea. 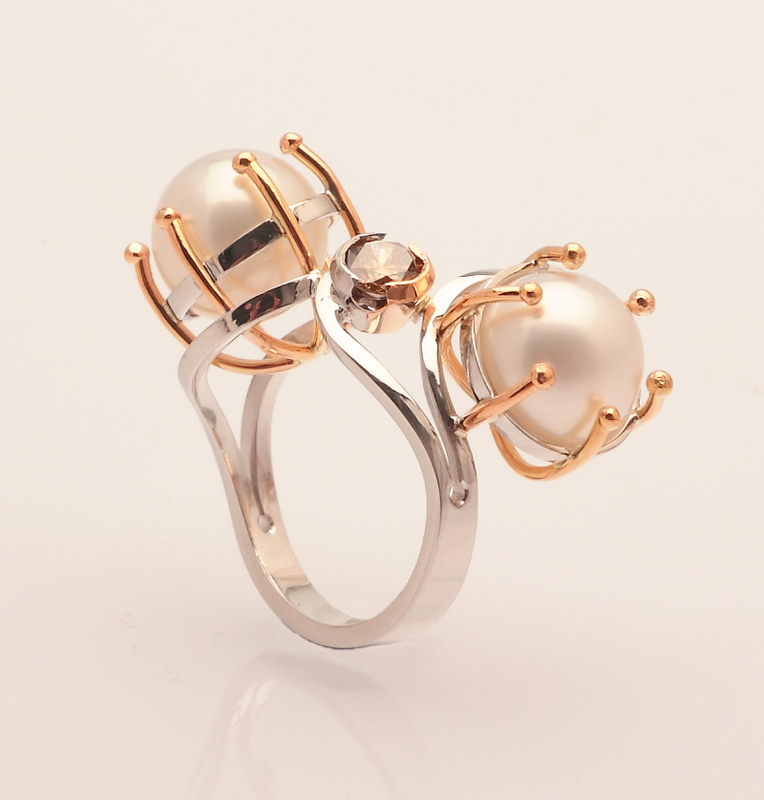 Inspired by the life of coral and its battle with man and the elements of the sea. Life for the coral is fragile with its mixture of soft and rough textures. 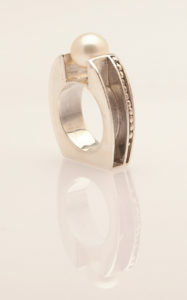 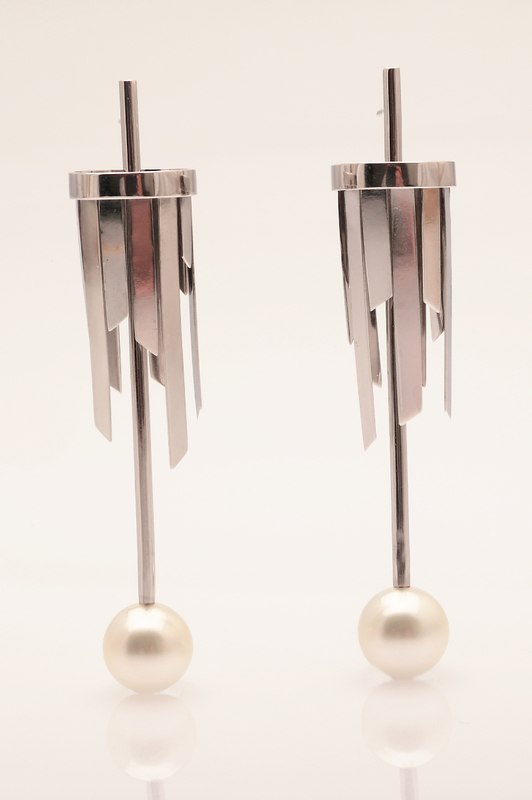 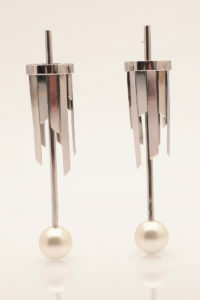 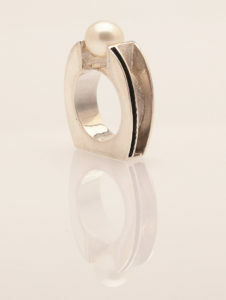 Using Sterling Silver and a sand blasting finish to give texture to the softness of the saw pierced shape. 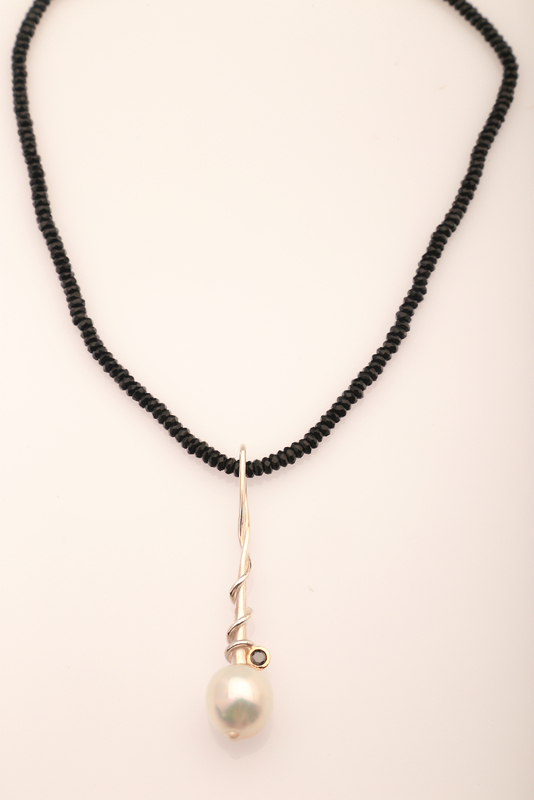 Attached to the hand made chain including clasp inspired by the rolling of the waves and water is the anchor holding the coral steady in its challenging environment. Sterling Silver (rolled down, saw pierced, domed, draw down wire, sand blasting finish, 20.453g TW), Featuring a Cygnet Bay Pearl. 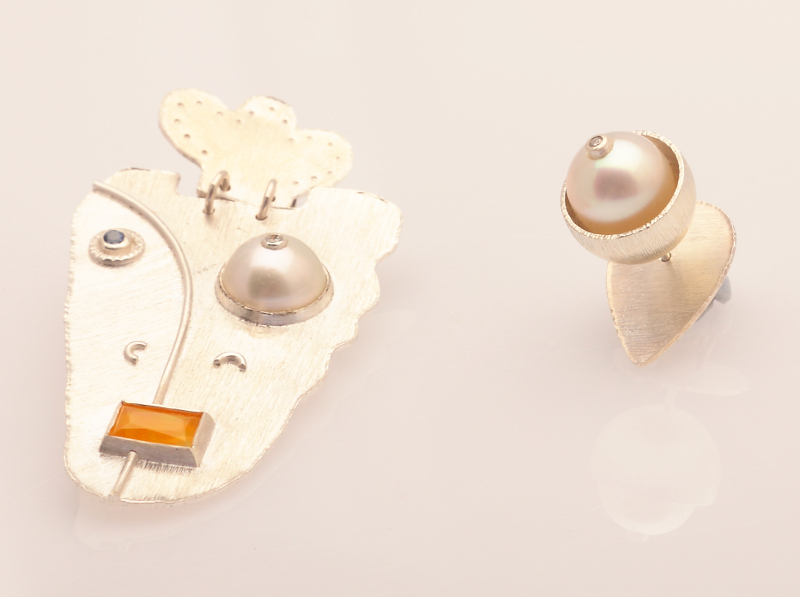 The micro world of a rockpool. 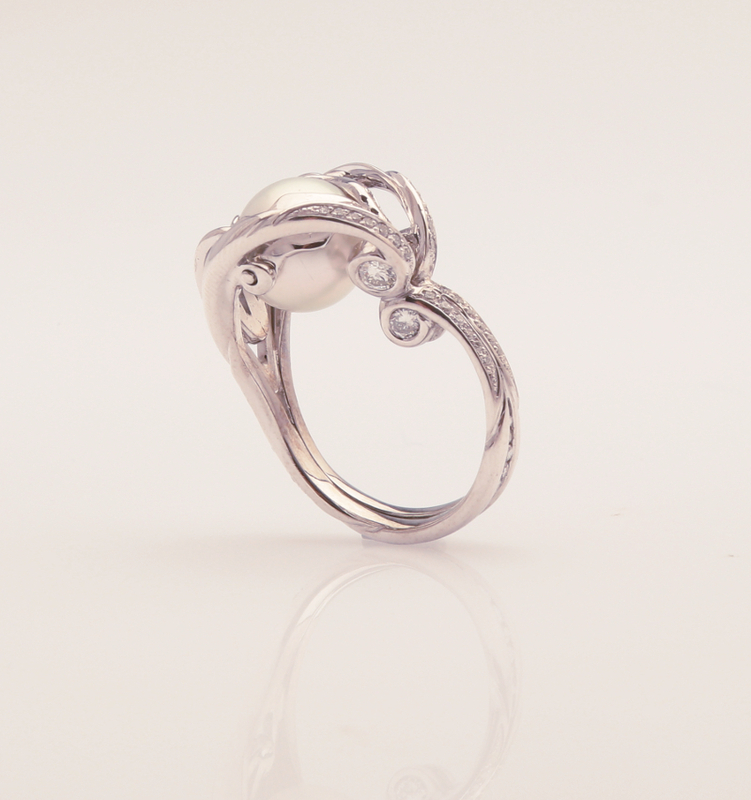 A tribute to the beautiful Australian organic form. 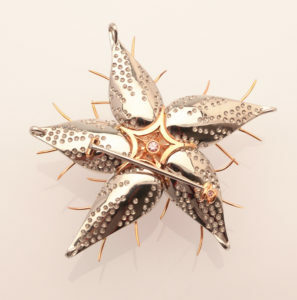 The Calytrix, or more commonly Starflower, immediately jumped out to me. 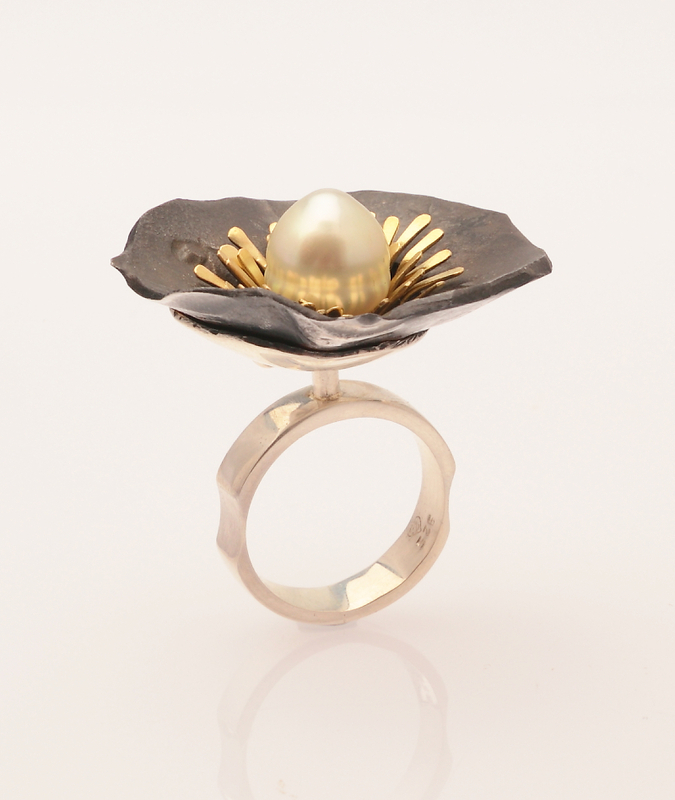 Not just for its’ shape but what was most apparent were the fibres that run from the centre of the flower and vein along the piece. 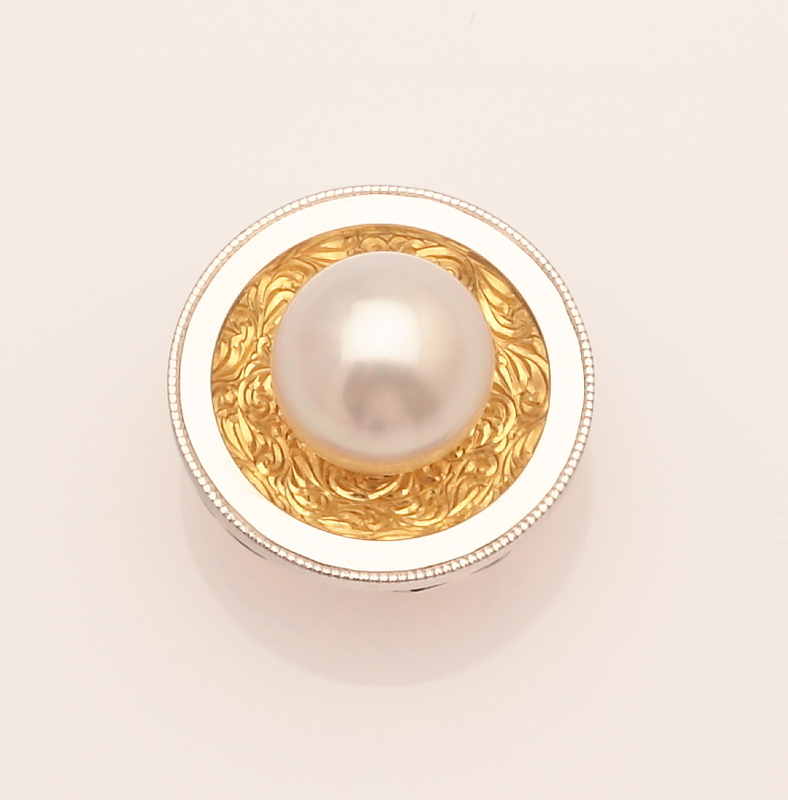 I found this to be a wonderful detail which would lend your eye to be drawn to the heart of the piece, in this case my Cygnet Bay Pearl. 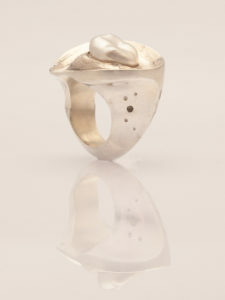 Continuing my preoccupation with that mesmerising point where the sky meets the sea, my design aims to highlight the unique beauty of this strangely shaped pearl in both an unpredictable and unconventional way, where the pearl is literally captured and partially obscured by the two halves of the blushing horizon. The colour palette of Australia’s diverse natural environments – Rust-coloured inland, lush green national parks, white pearly sands surrounded by sapphire blue seas. 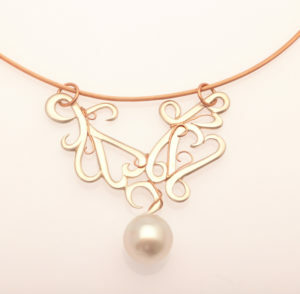 A butterfly emerging from its golden chrysalis, the delicate transition to natural beauty from within the safety of a protective shell. 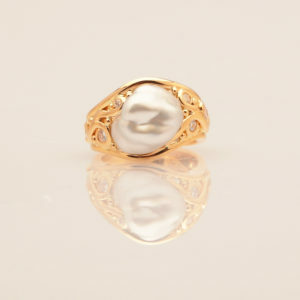 Much like a pearl forms within an oyster, true beauty comes from within. 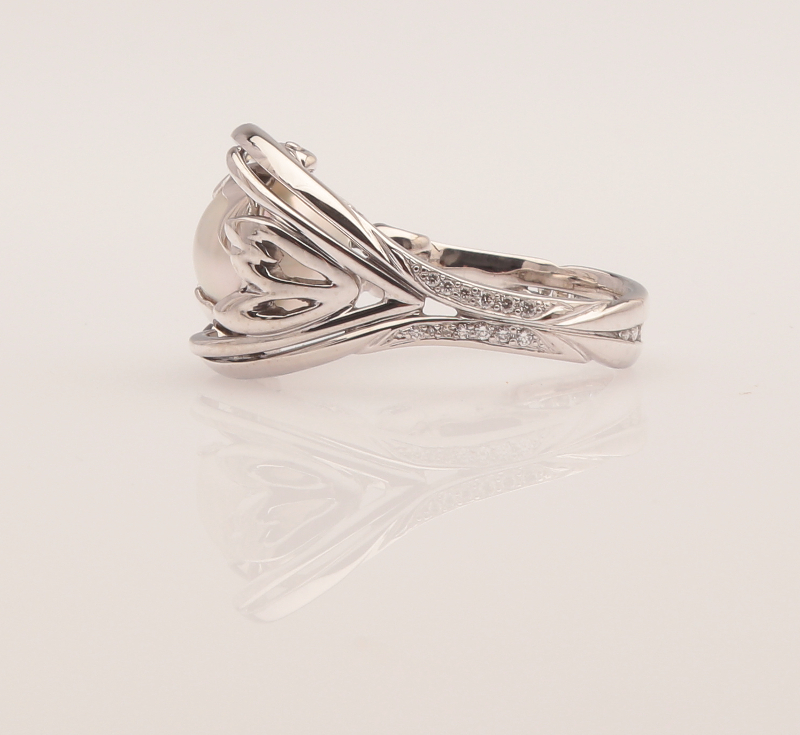 The beauty and fragility that occurs in nature. 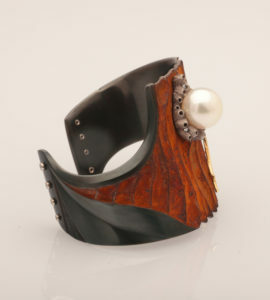 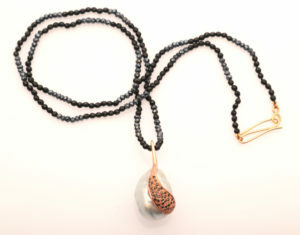 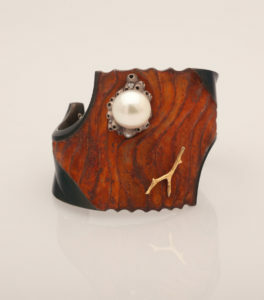 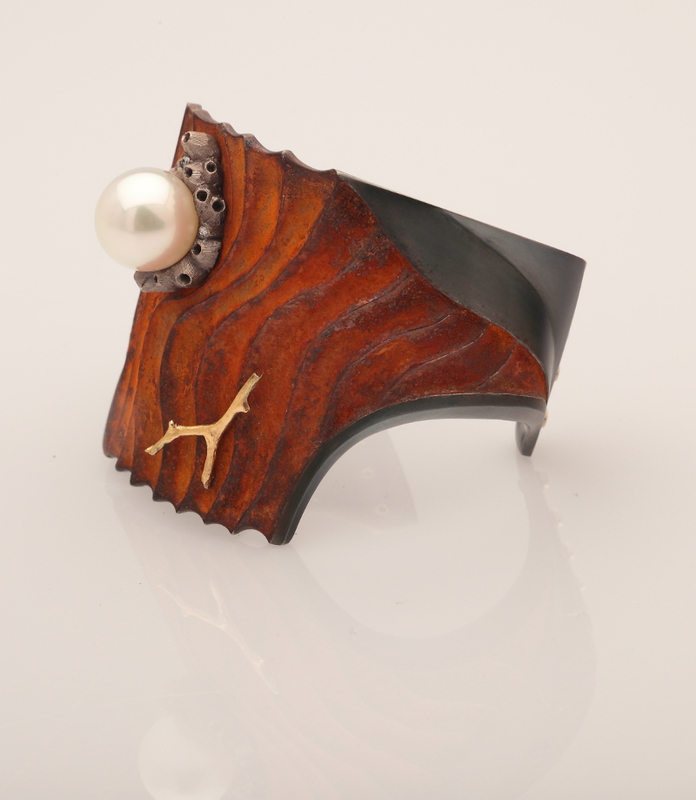 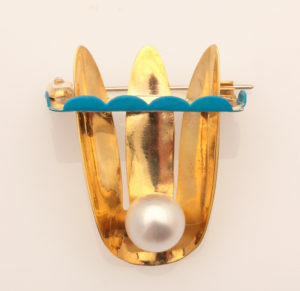 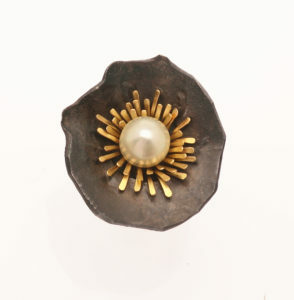 The inspiration for my piece was to showcase a pearl with attitude. 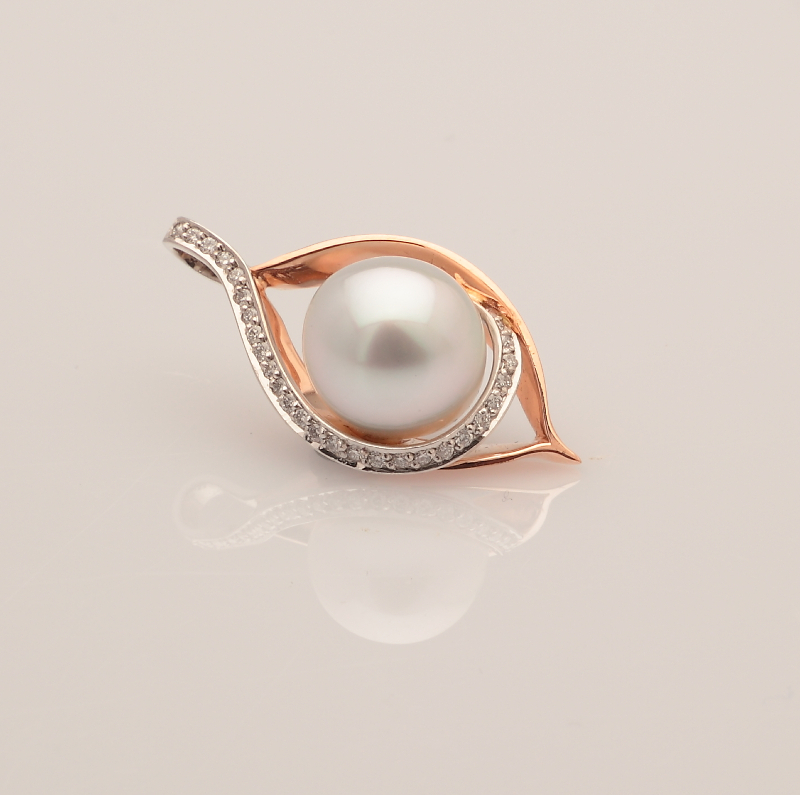 The rose gold pendant, set with diamonds, brings to life the dusty pink zircon whilst enhancing the lustre of the Cygnet Bay South Sea Pearl. 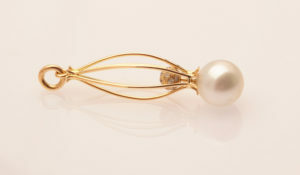 I wanted to showcase the pearl and its natural flaws. 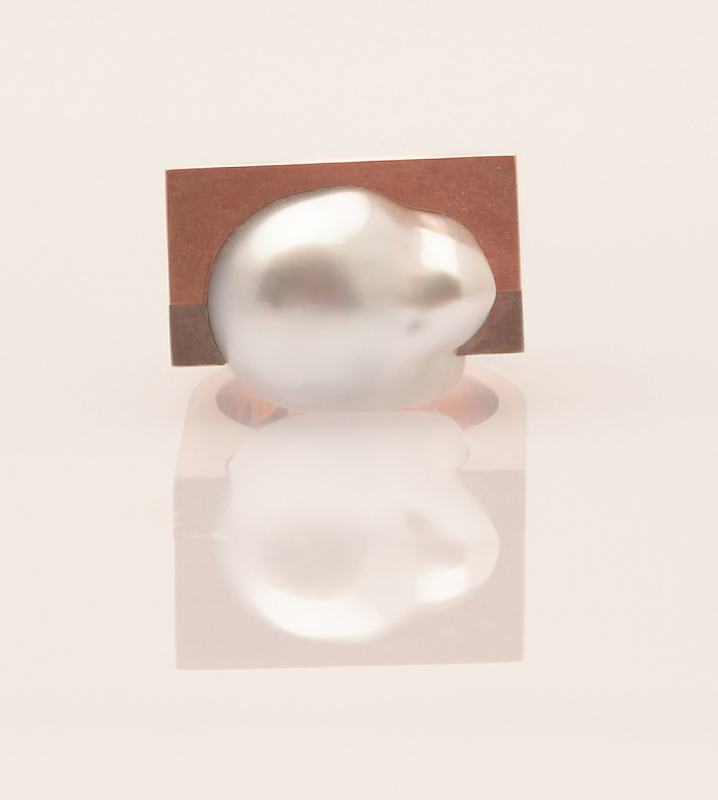 My pearl is individual. 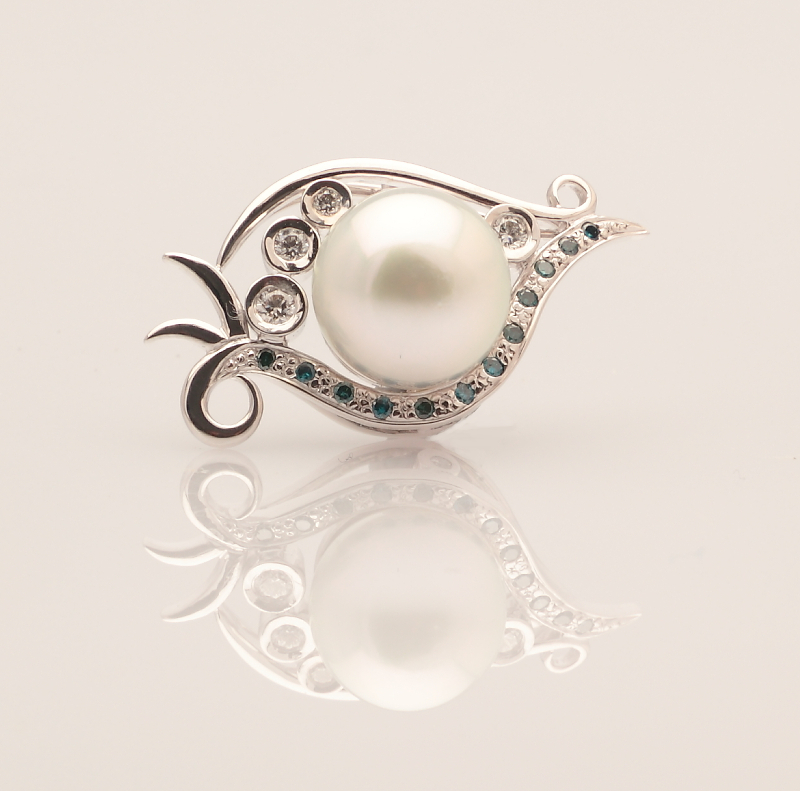 We are always searching for perfect in this world and we sometimes miss the natural beauty that is so readily at our reach. 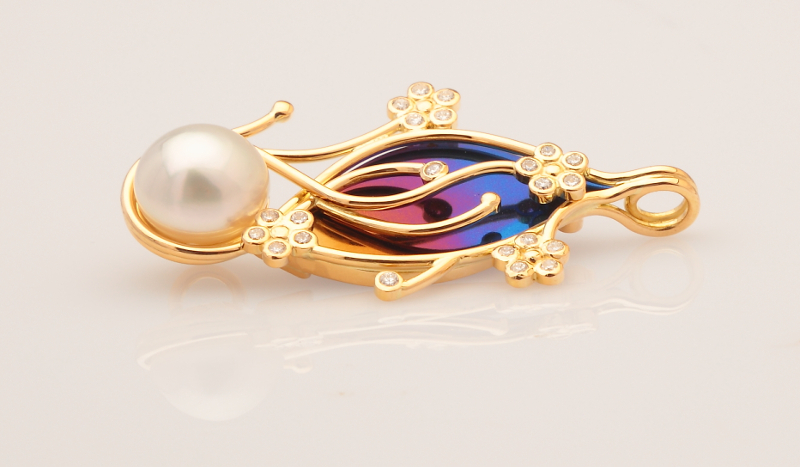 The flower variance of the metals and the blue of the ceylon sapphires represent the uncertaintity and colour of the ocean. 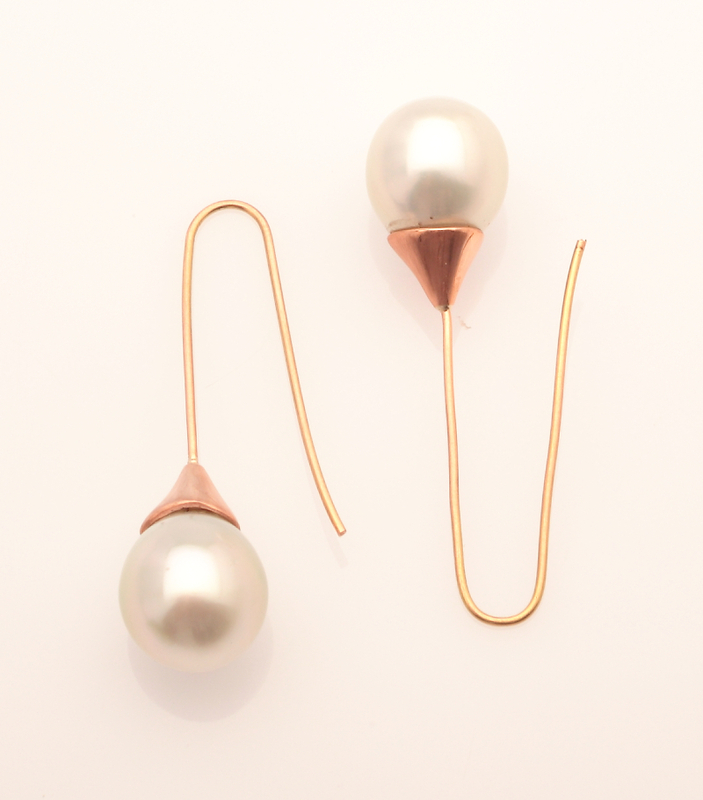 Totally handmade earpiece earrings. 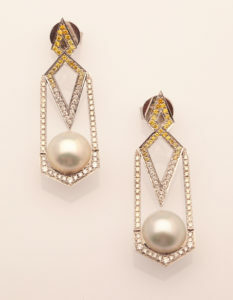 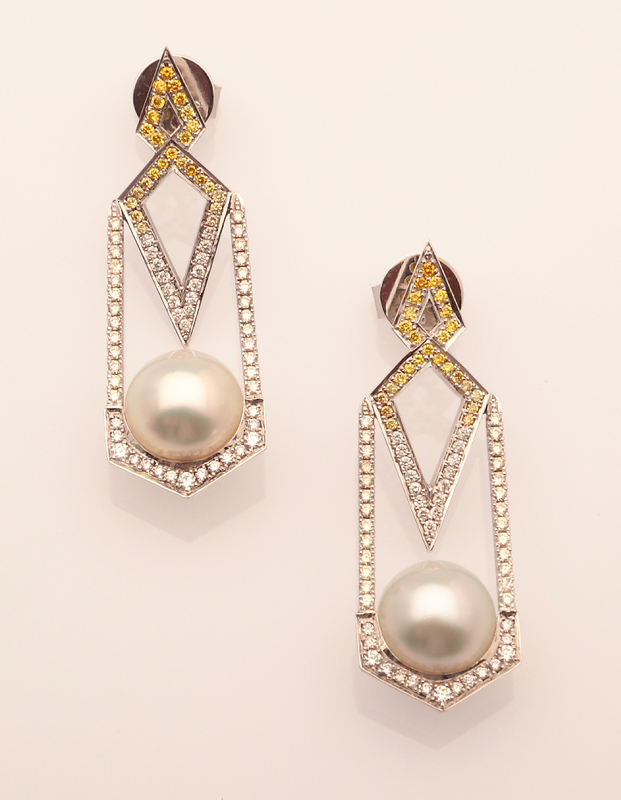 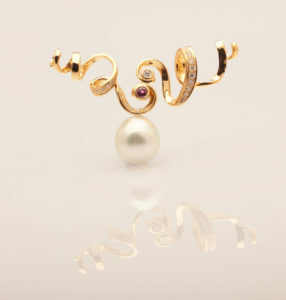 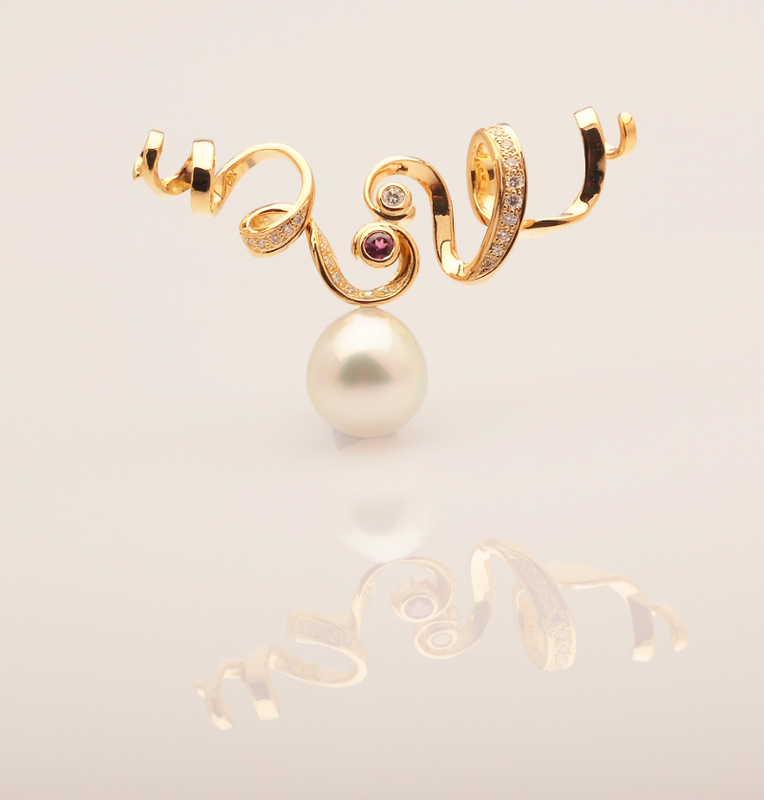 18ct Yellow, White & Rose Gold, two Ceylon Sapphires Featuring Cygnet Bay Pearls. 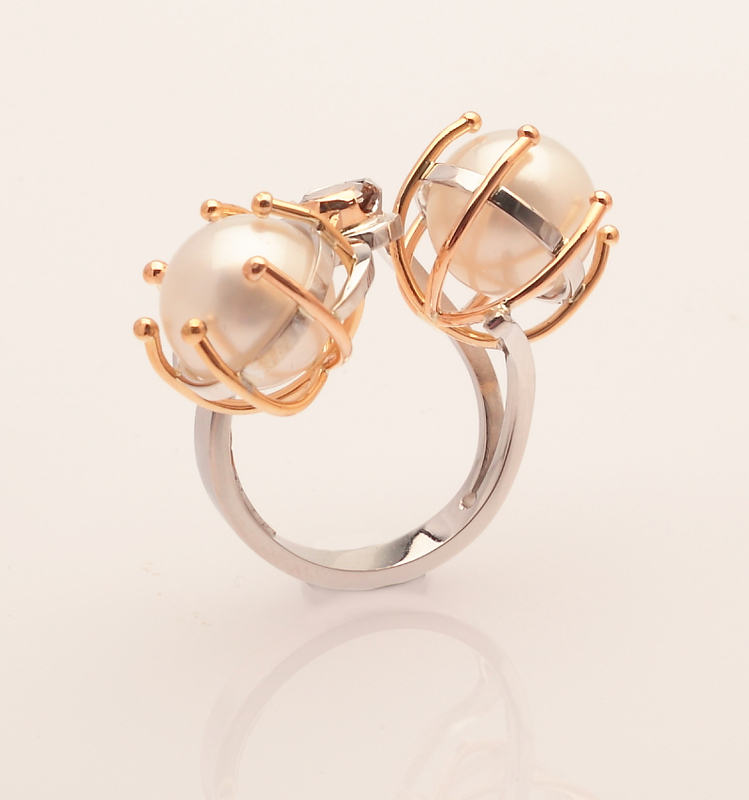 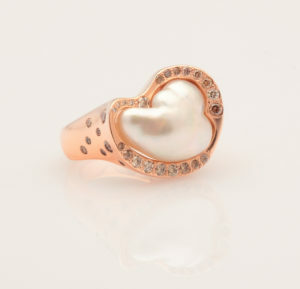 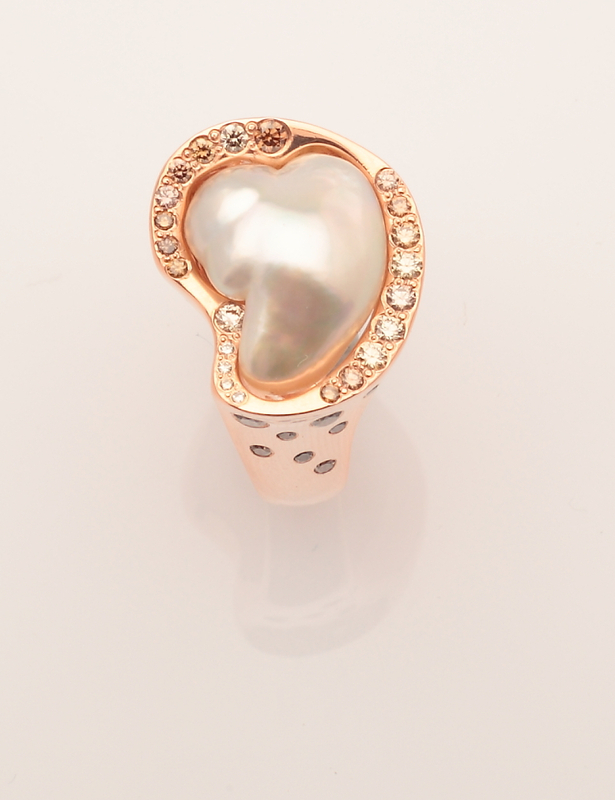 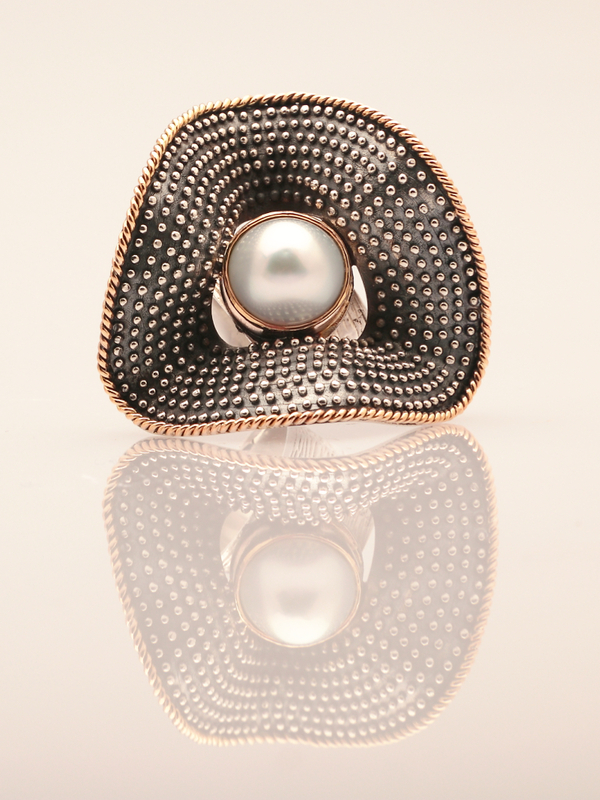 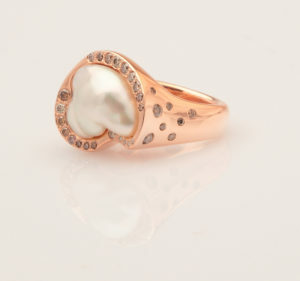 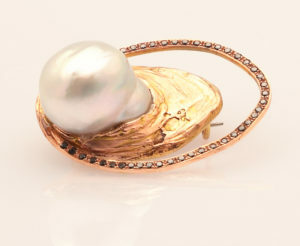 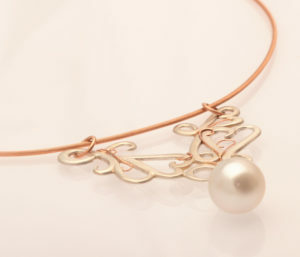 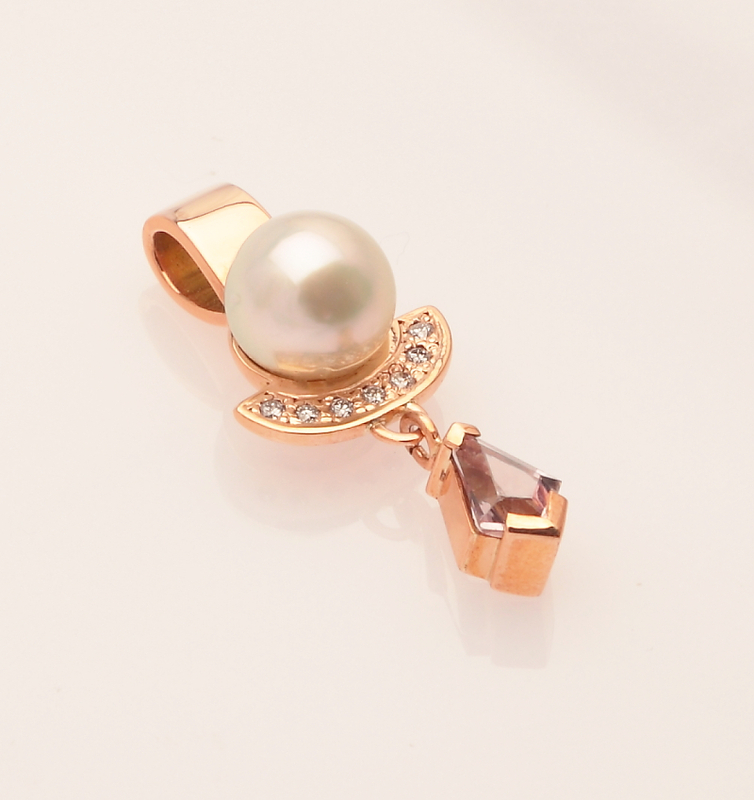 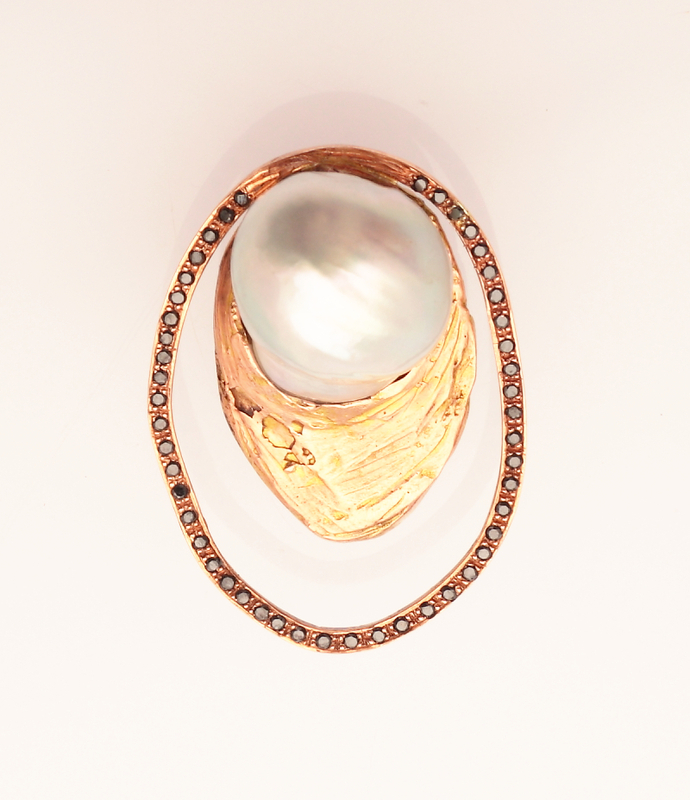 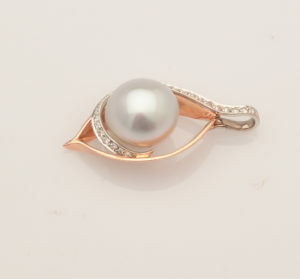 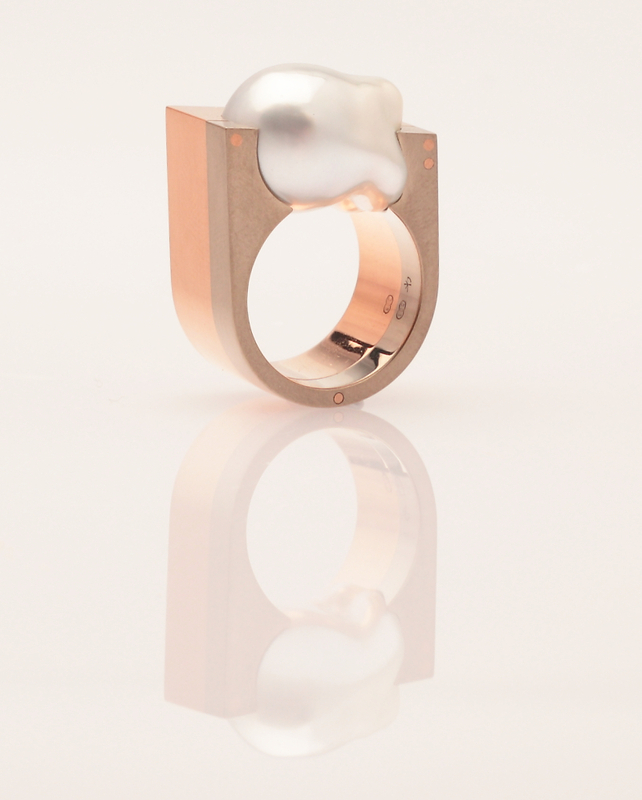 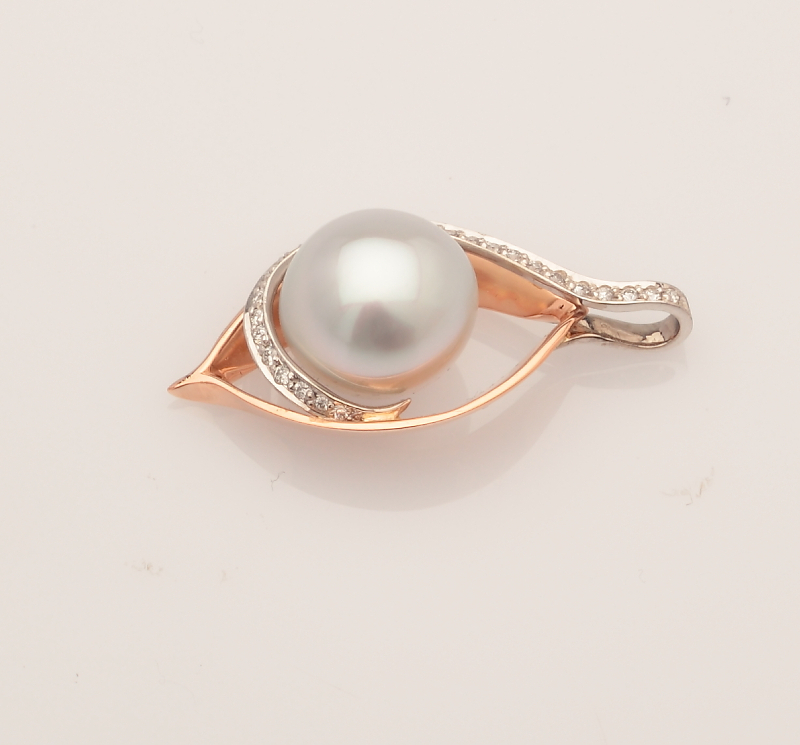 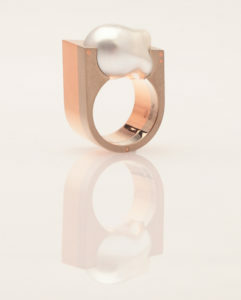 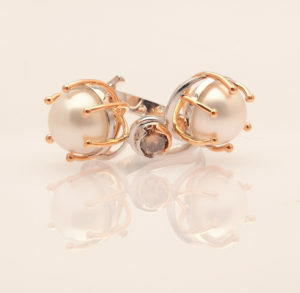 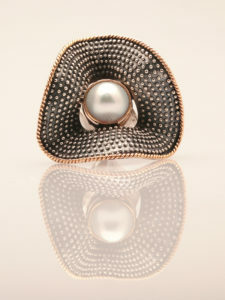 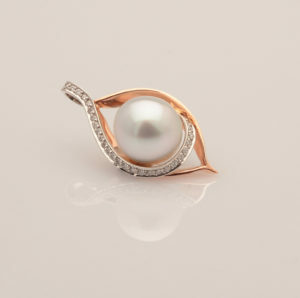 9ct Rose Gold Featuring Cygnet Bay Pearls. 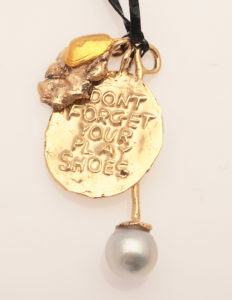 A pearl of wisdom for Barb, using some of her metal and an expression she is well know for. A journey, embracing the abilities of boundless self. 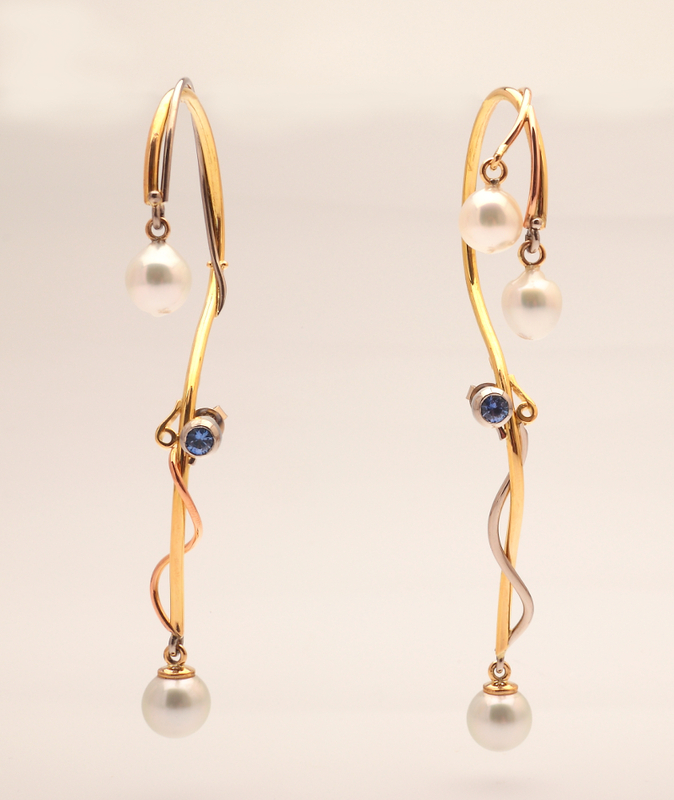 To transform personal creative vision into physical forms of structure and elegance. 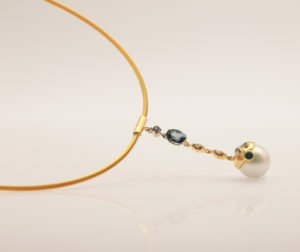 I’ve been forging a lot of steel lately – I really love the contrast between the hard black steel and the soft yellow pearl + gold. 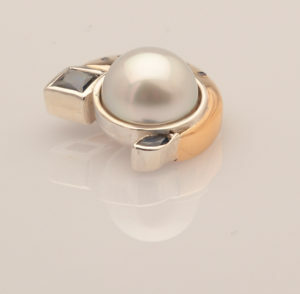 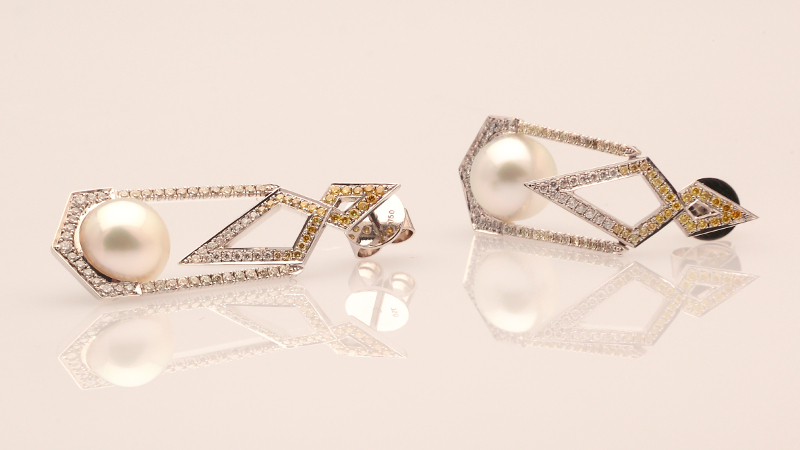 18ct Yellow Gold, 25 Diamonds E/F Colour and VS Clarity, Featuring a Cygnet Bay Pearl. 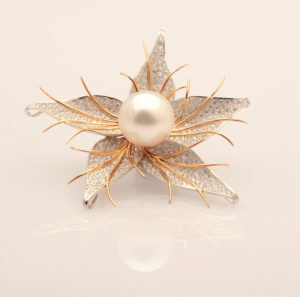 I’m in the seemingly infinite moment on a clear, dry season day in the crystal water of a neap tide. 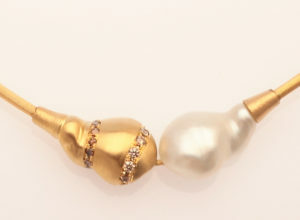 The moment when an exhaling diver looks toward the surface from the ocean floor to see shimmering light streaming through a chandelier of ascending bubbles. 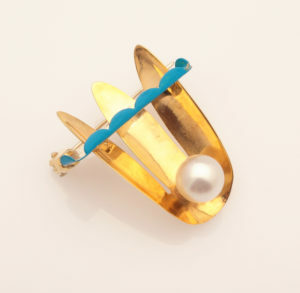 As a lover of diving and a jeweller, it is this moment I have tried to emulate. 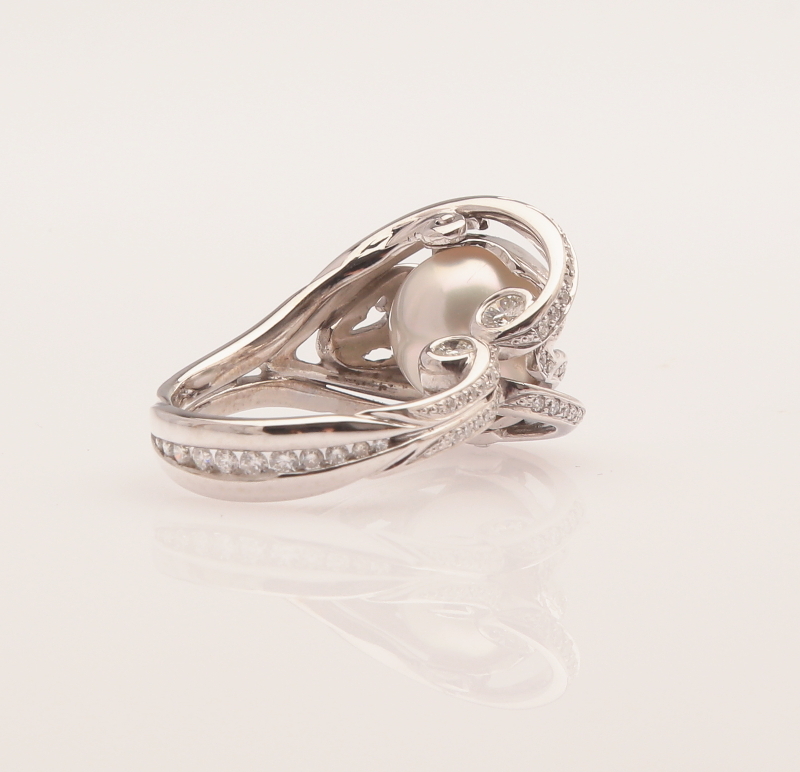 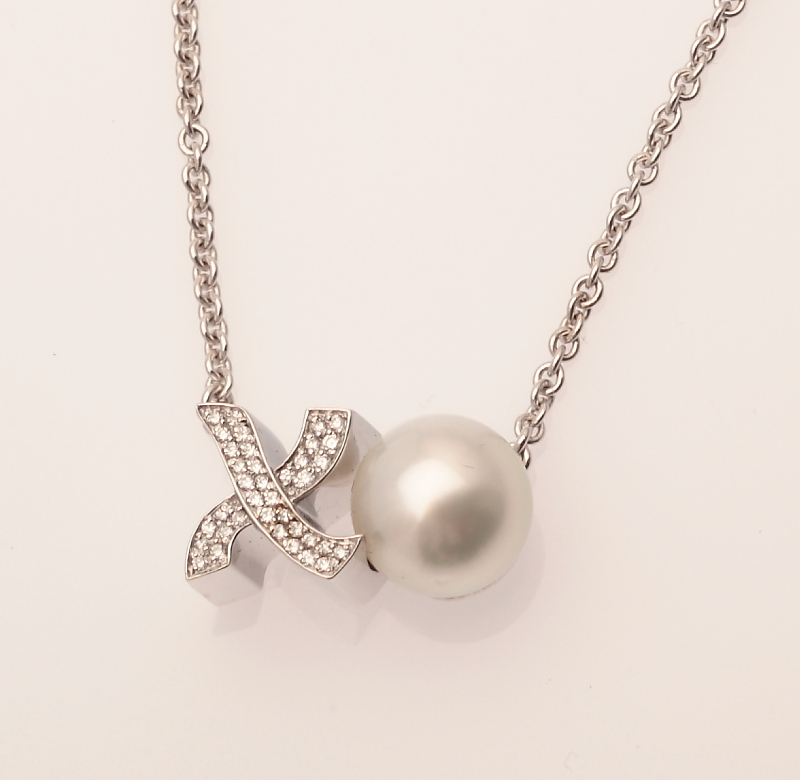 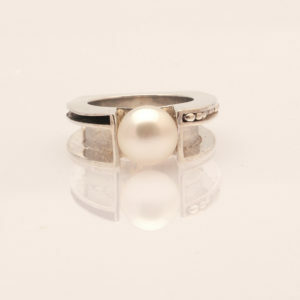 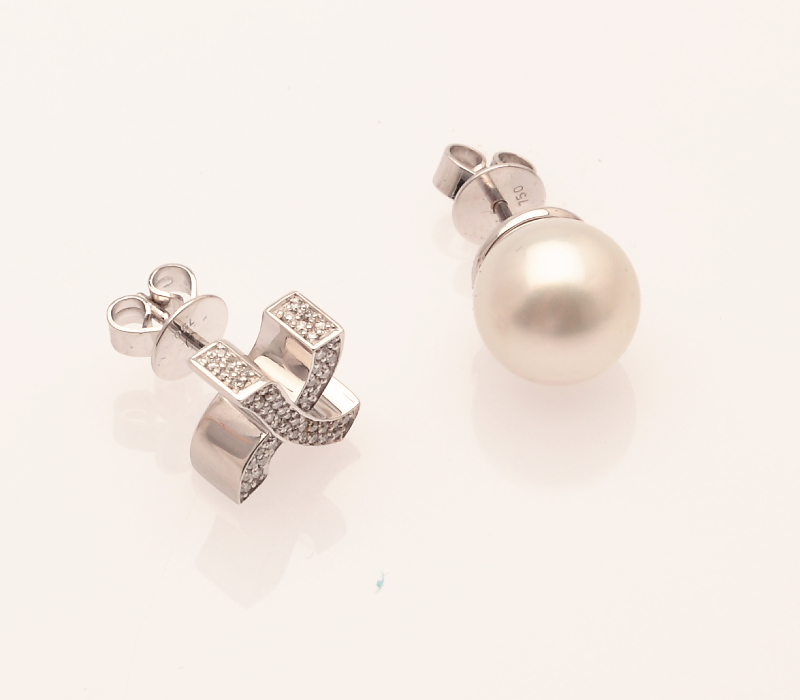 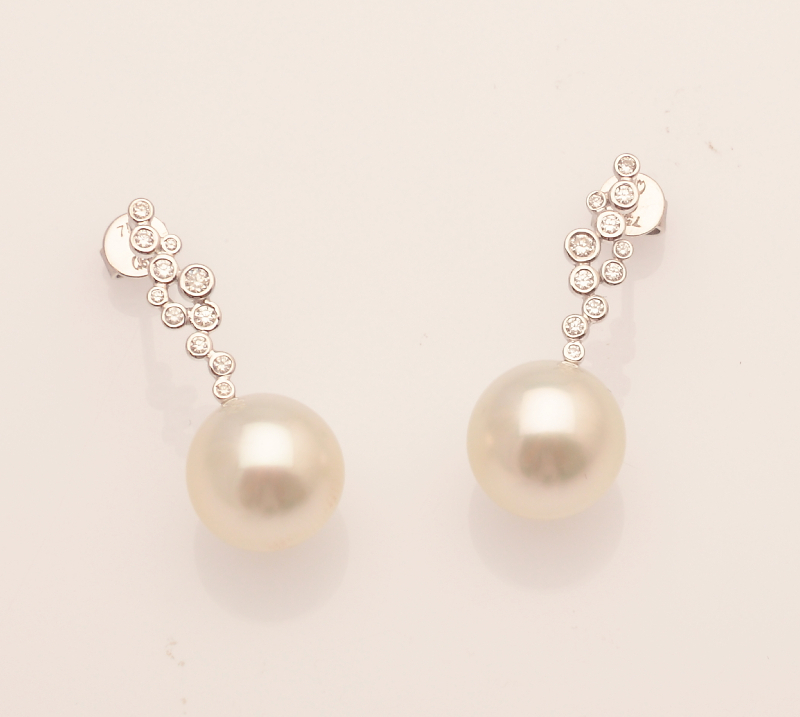 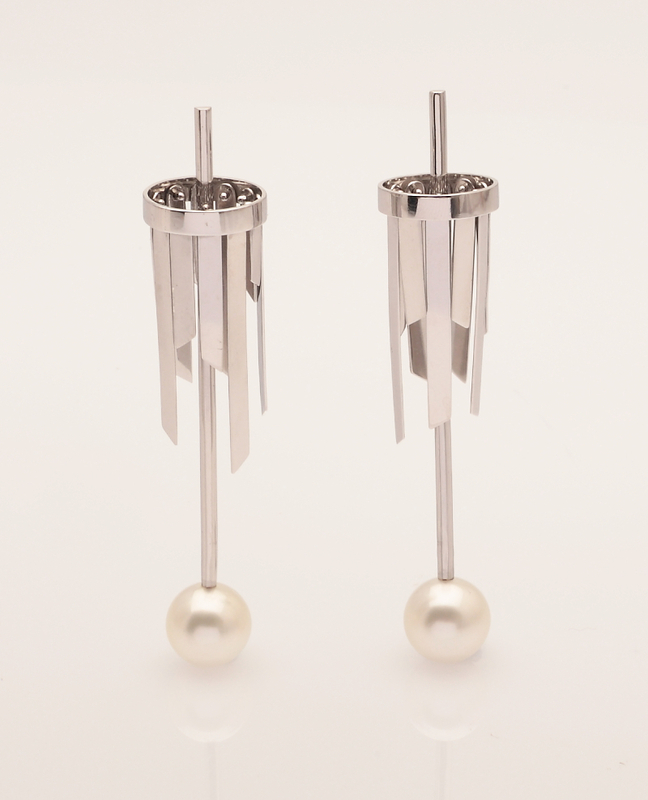 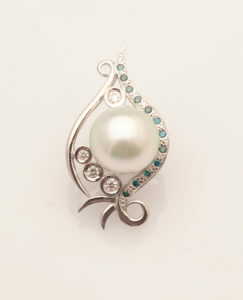 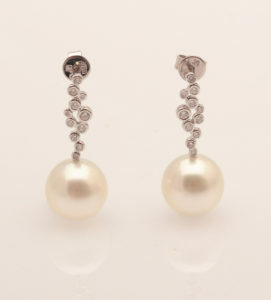 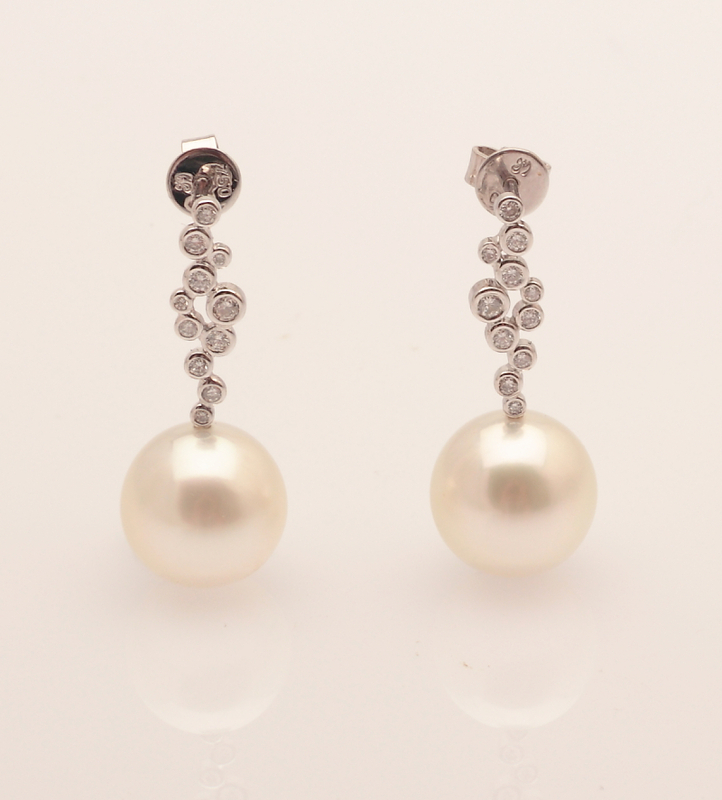 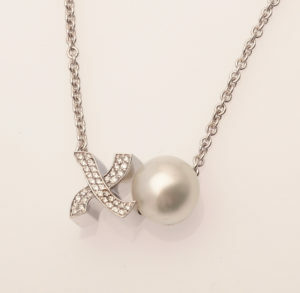 18ct white gold, Diamonds Featuring Cygnet Bay Pearls. 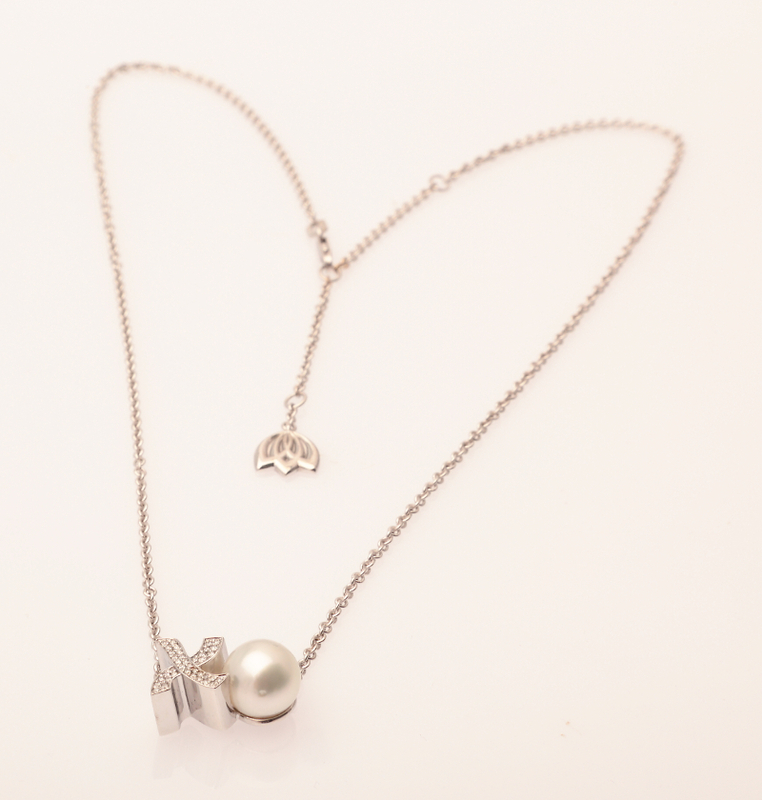 Childhood nostalgia and home comforts. 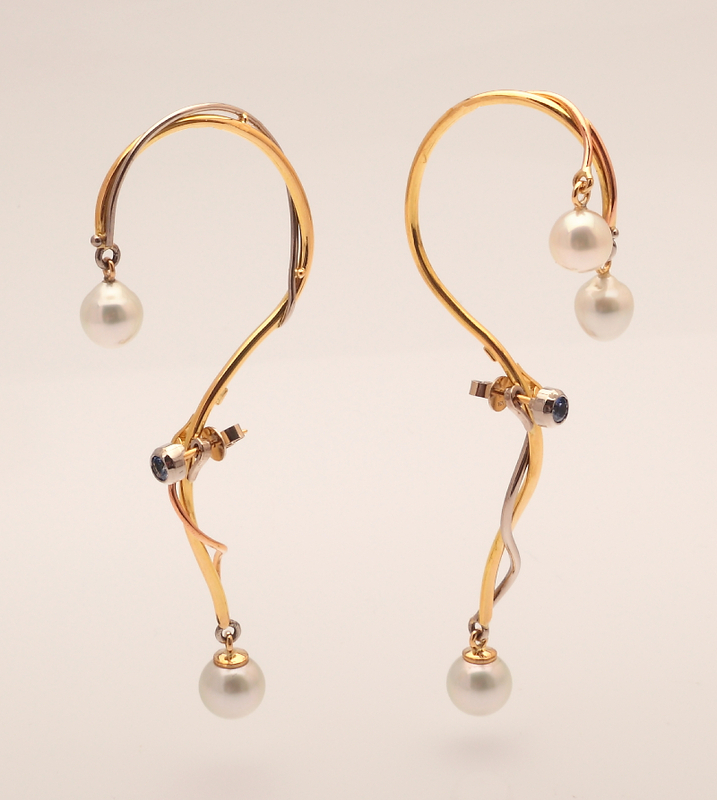 Flowing, swirling, liquid movements… Reminding me of the way ribbons of rhythmic gymnasts seem to ‘dance’. They are so mesmerising.